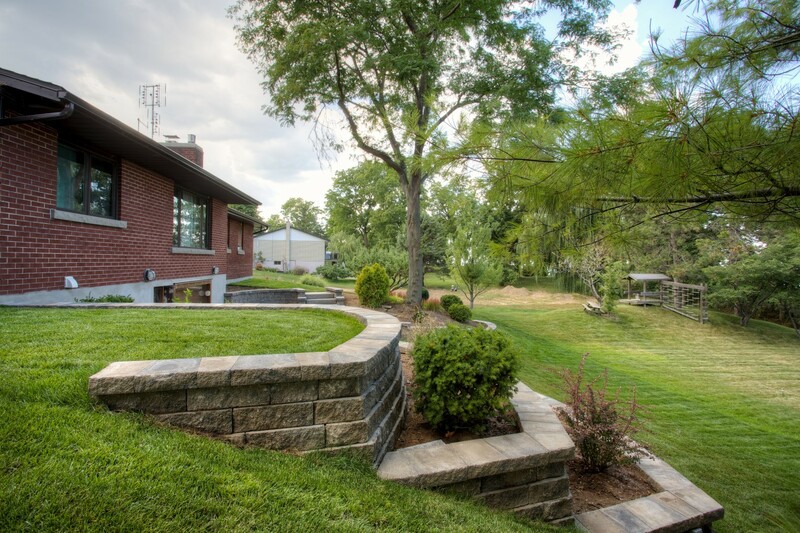 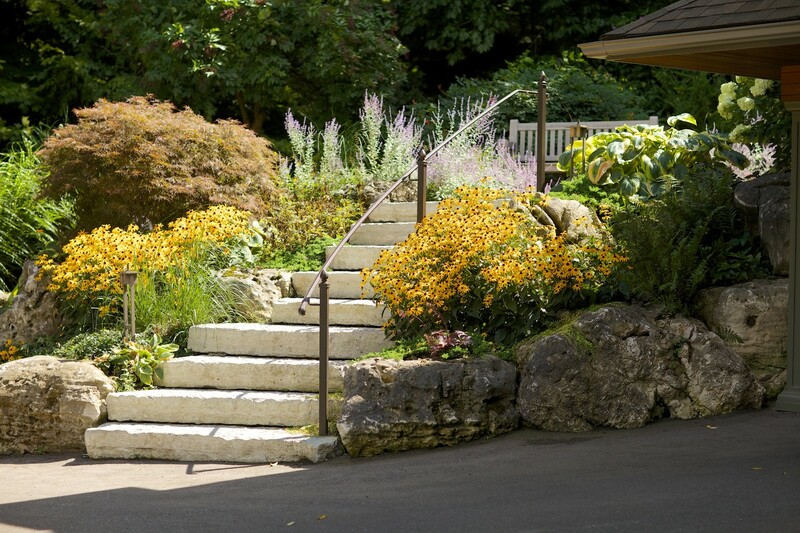 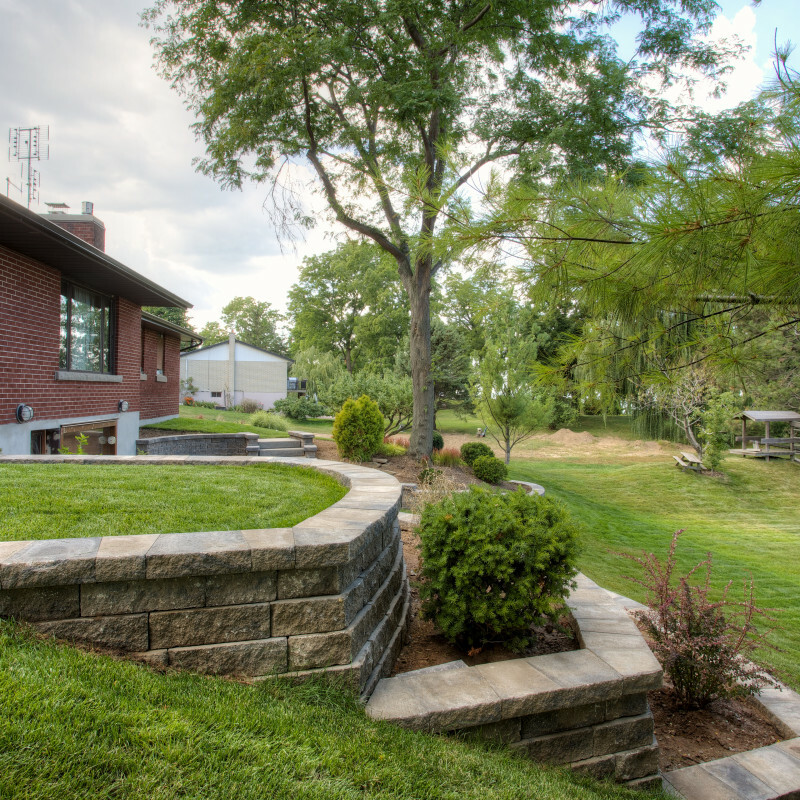 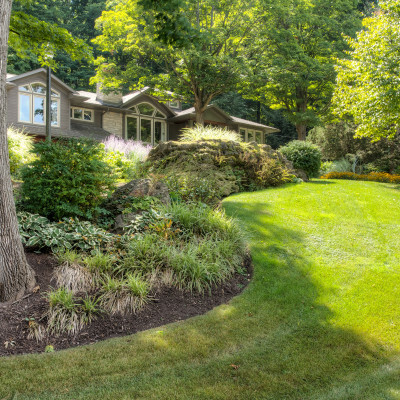 With a solid foundation of great customer service and quality workmanship, beautiful landscapes can happen! 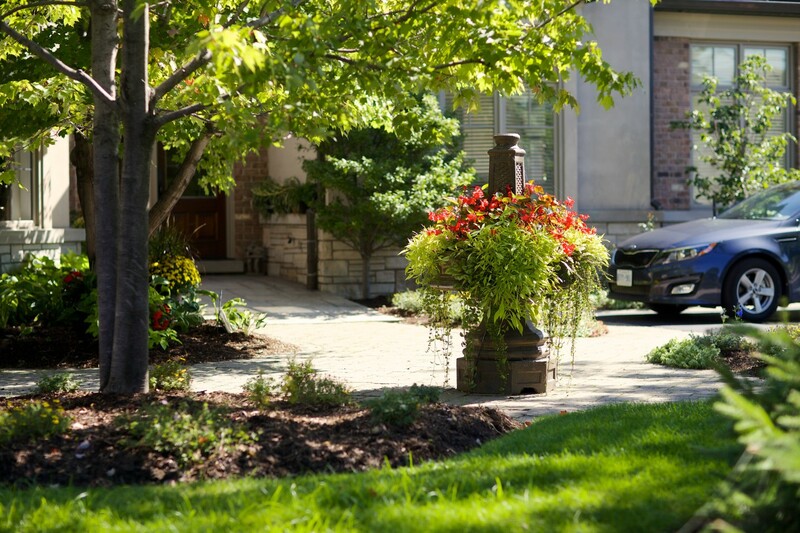 Give us a call to discuss the specific needs of your property and the care you’d like to leave to us. 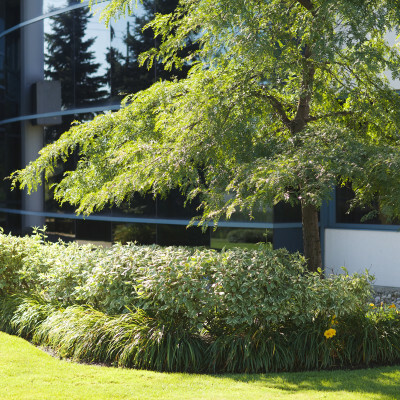 Looking for a dependable source of commercial property care? 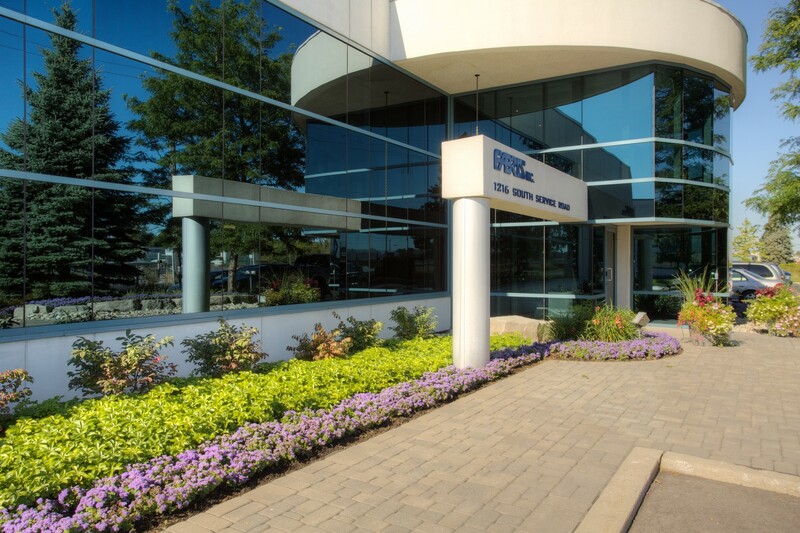 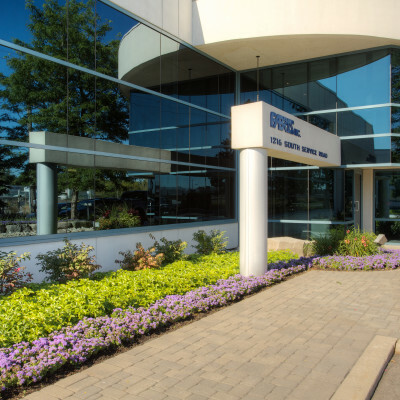 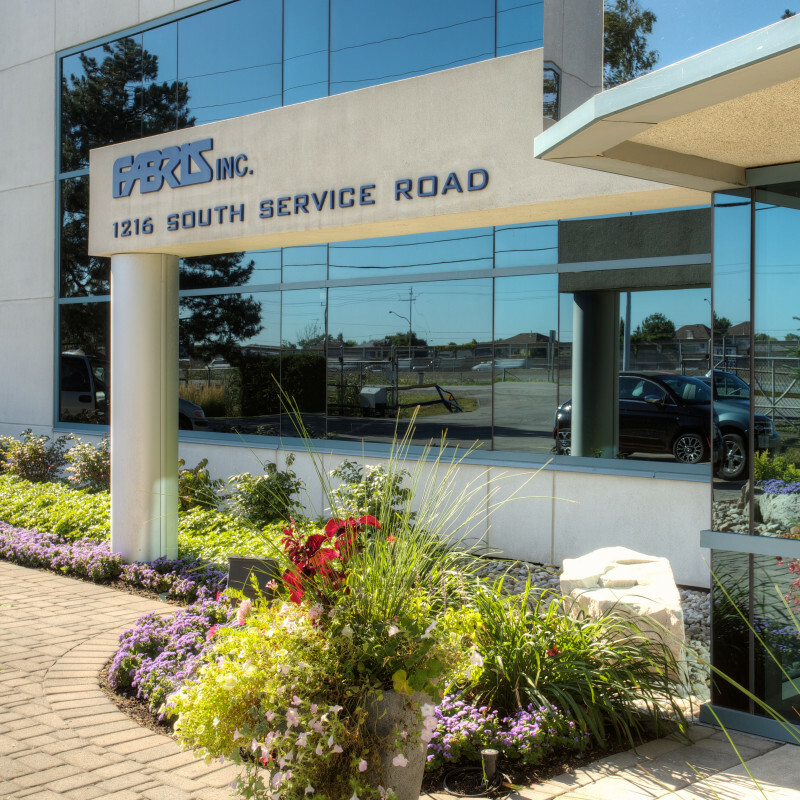 With over 50 years serving the Grimsby-St. Catharines area, DeVries is a service that you can rely on for thorough, accountable work. 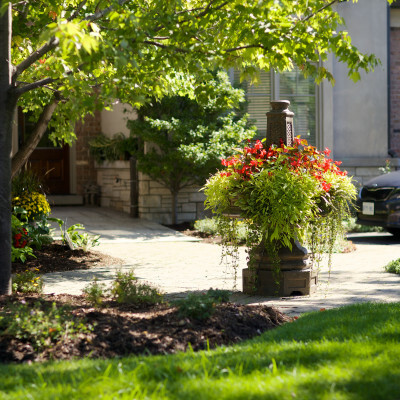 Our crews are properly managed, trained and safety-minded. 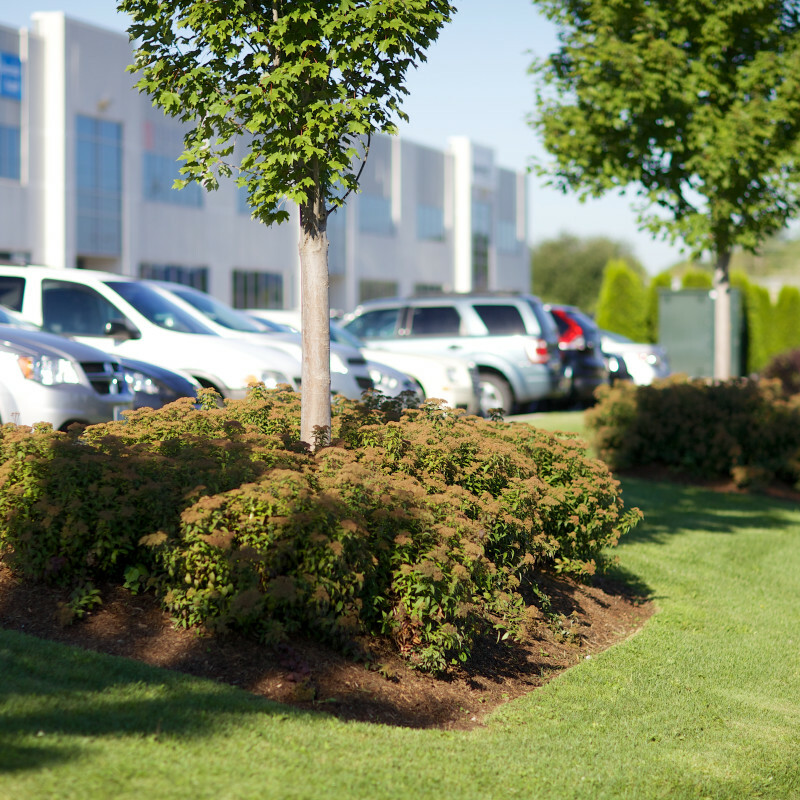 We keep your business looking healthy, tidy and well cared for. 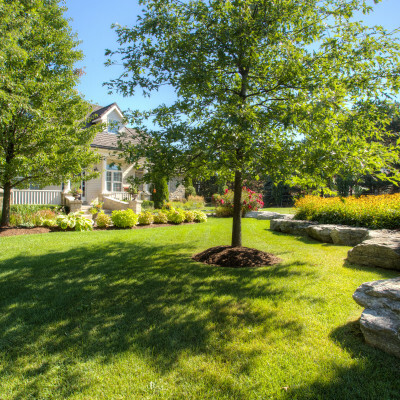 With DeVries, your grounds always reflect well on you. 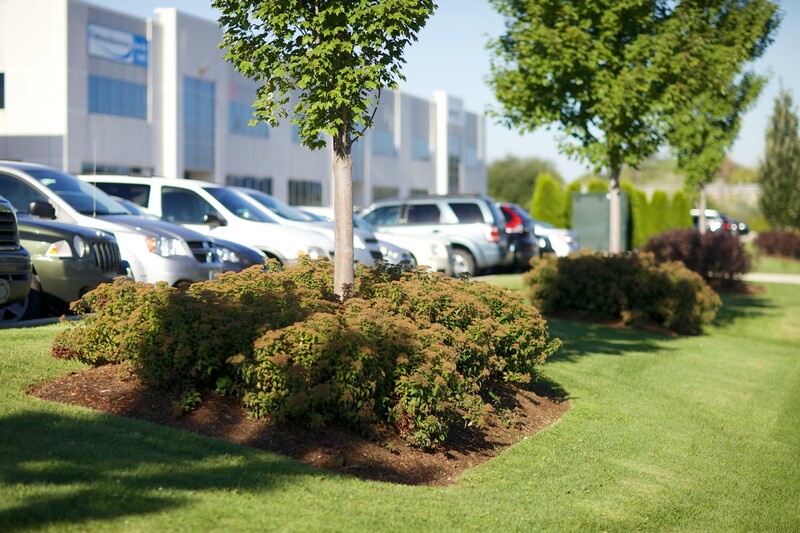 Contact us to discuss the right maintenance program for your business. 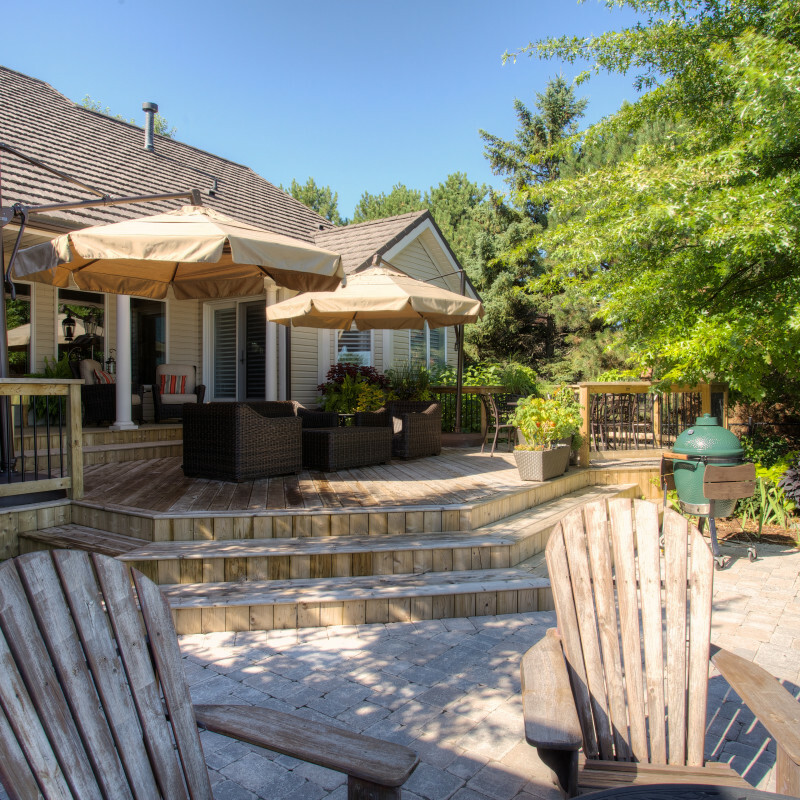 The centre of your outdoor oasis, your patio is an important feature for function and beauty. 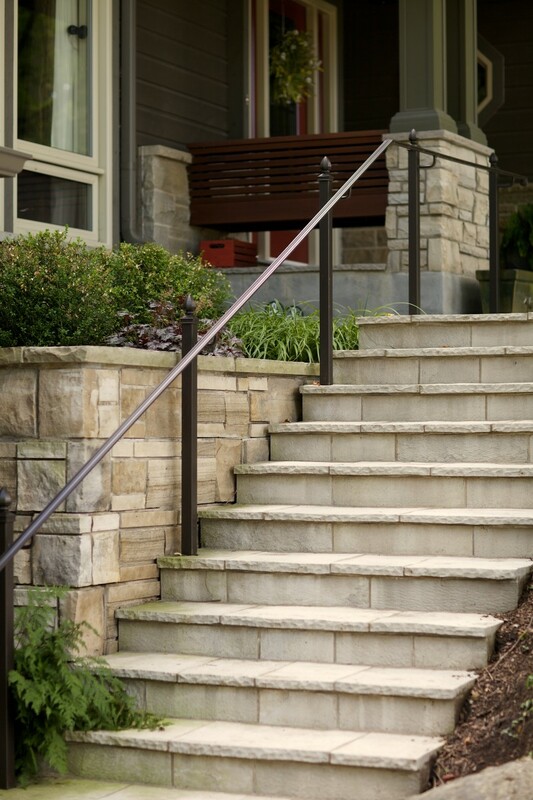 And with almost limitless shapes, textures and materials, it can be designed to reflect your style perfectly. 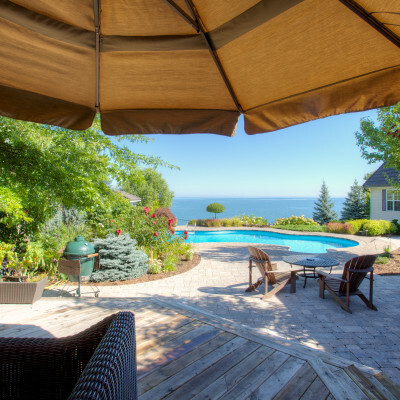 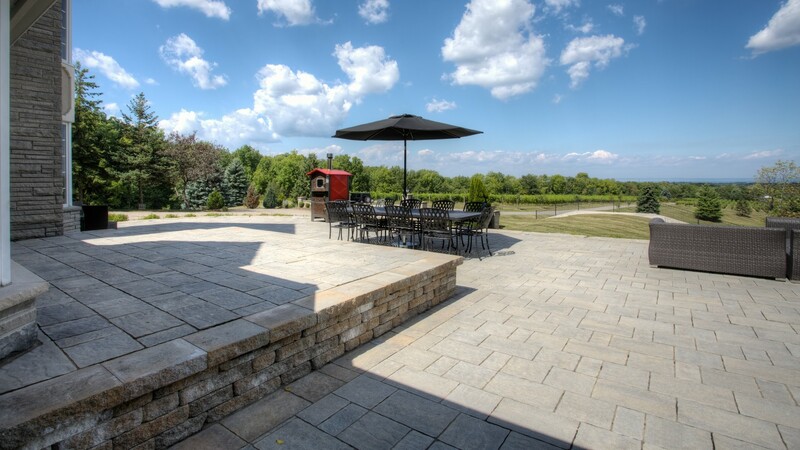 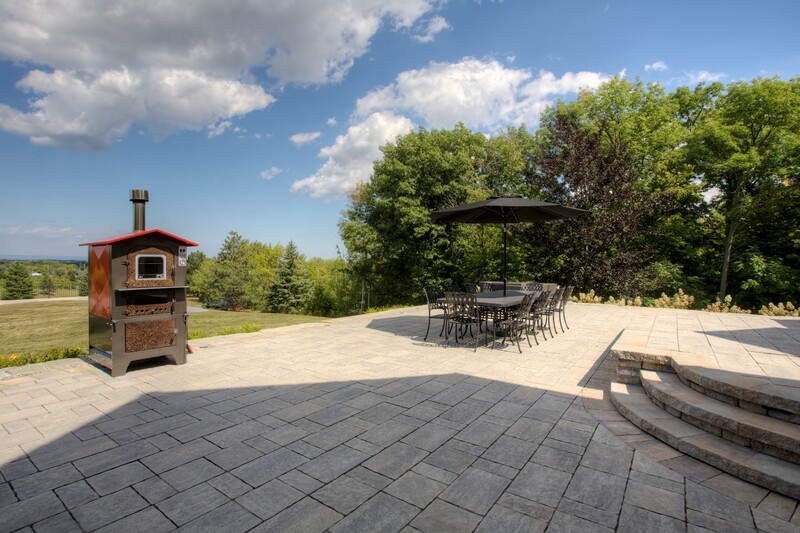 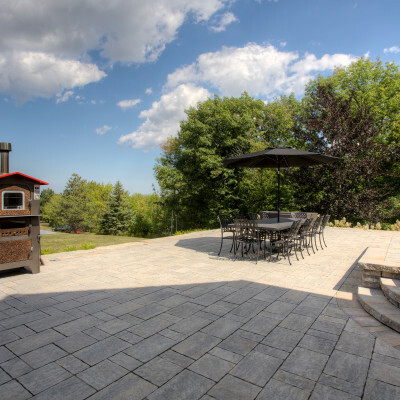 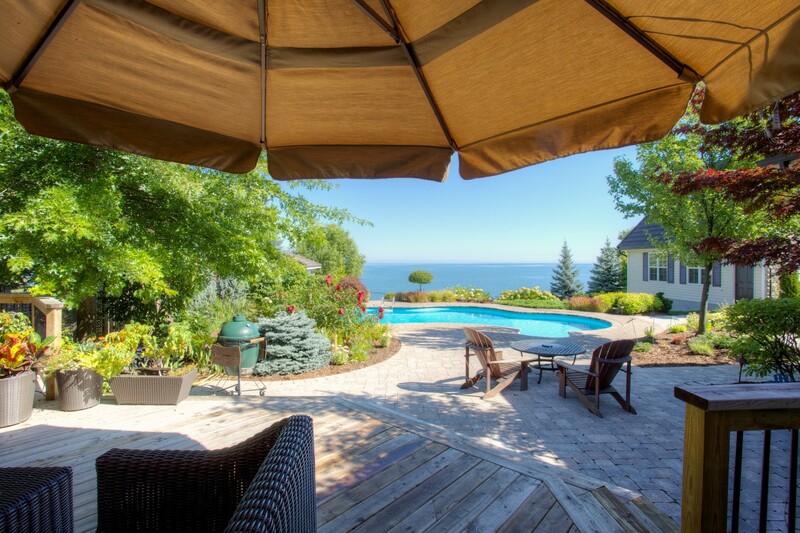 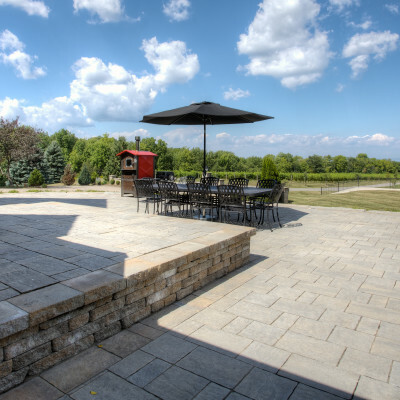 From a private enclave in a picturesque corner to an expansive patio fit for a great summer party, DeVries can help make your patio a treasured addition to your home. 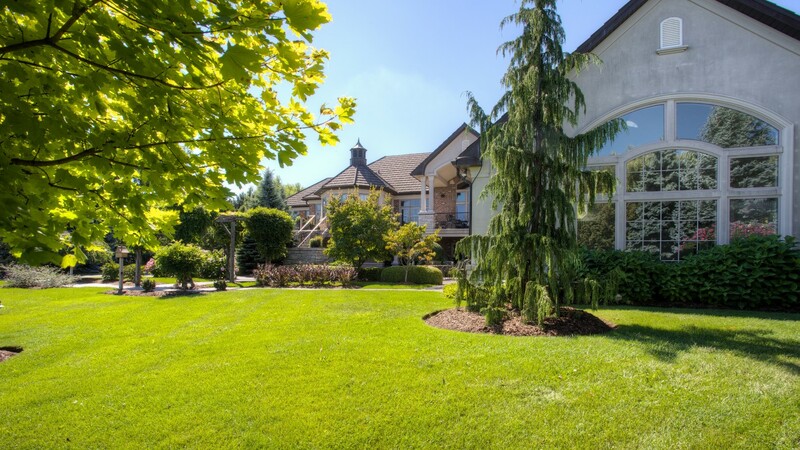 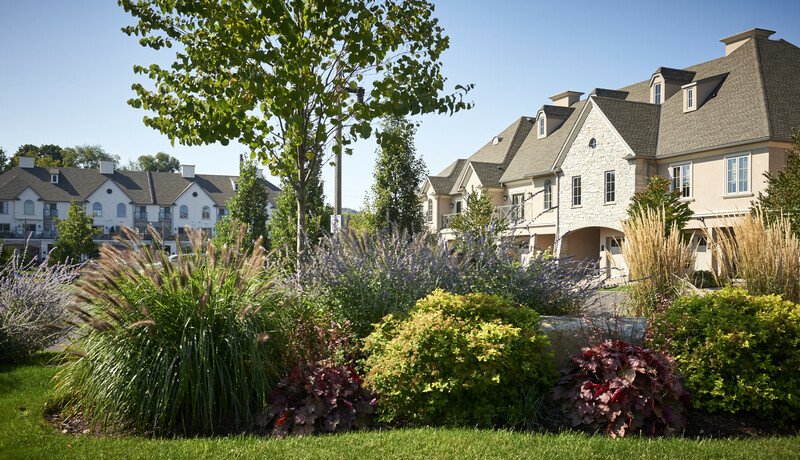 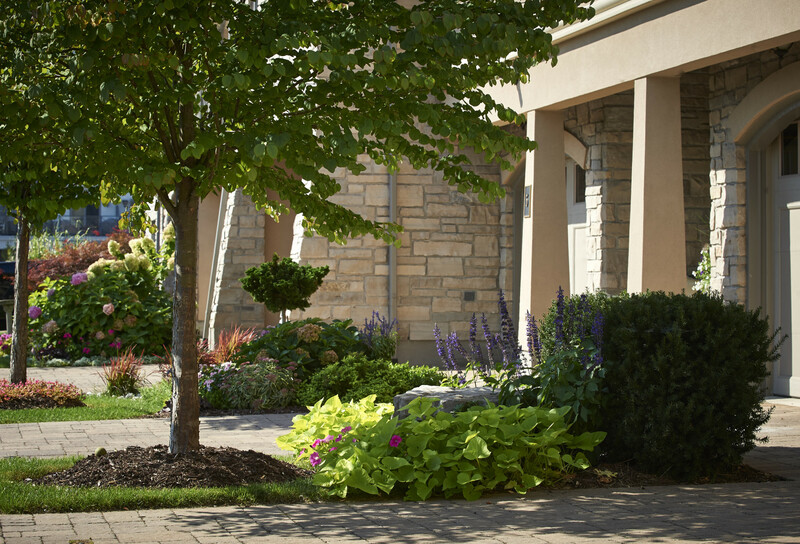 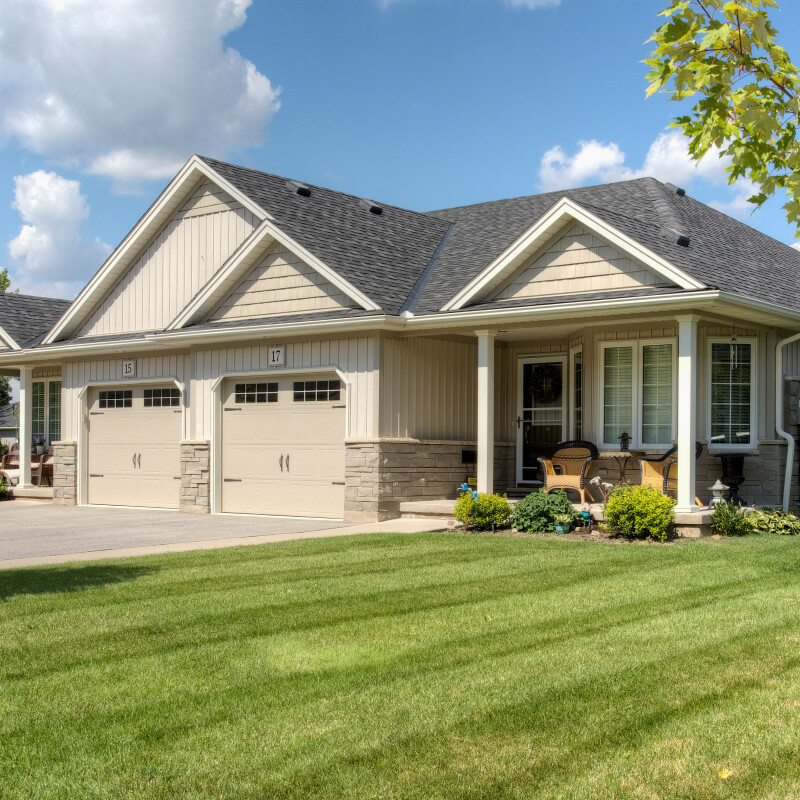 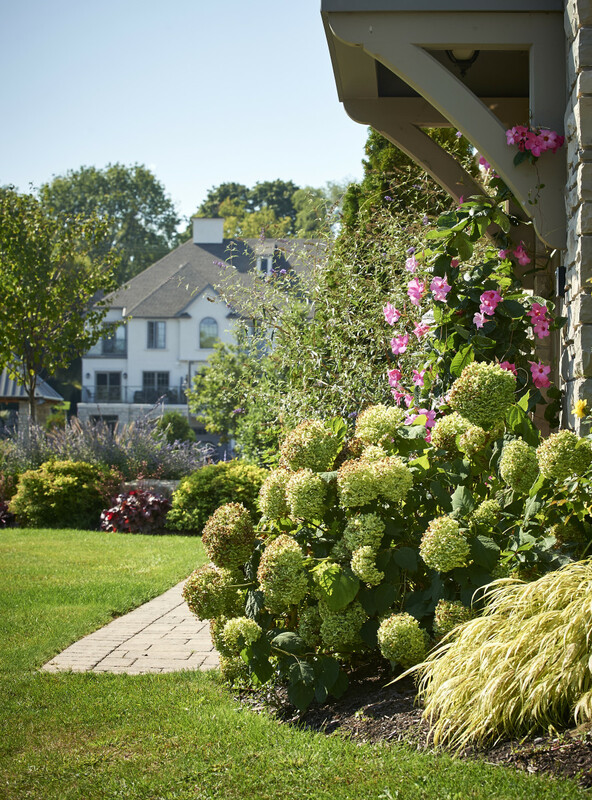 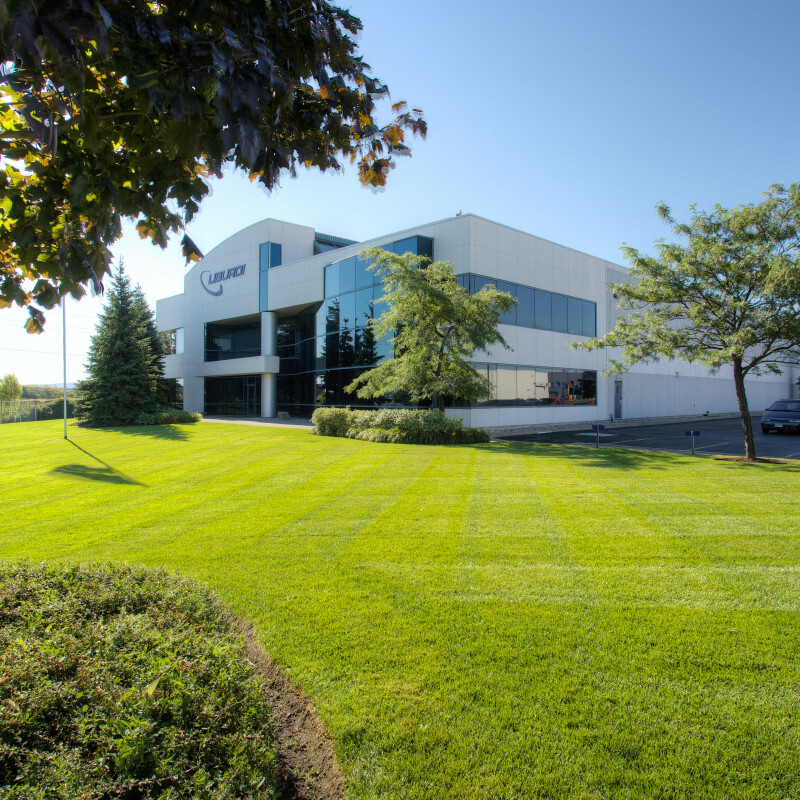 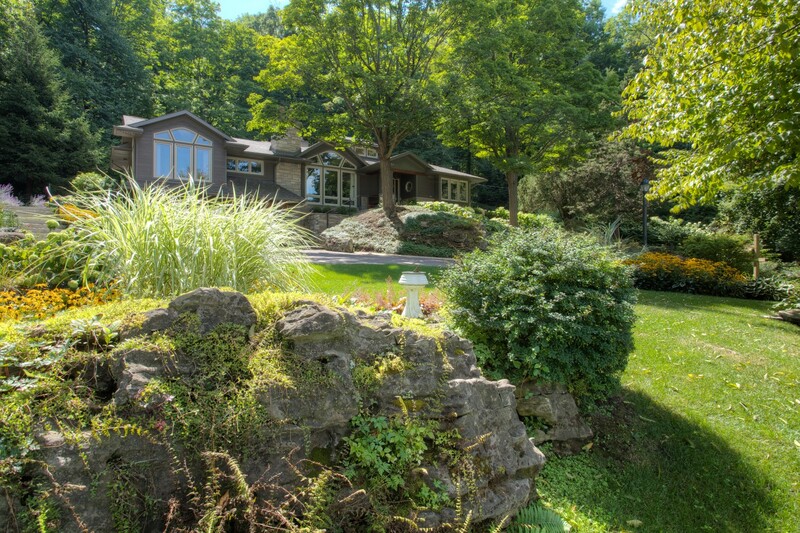 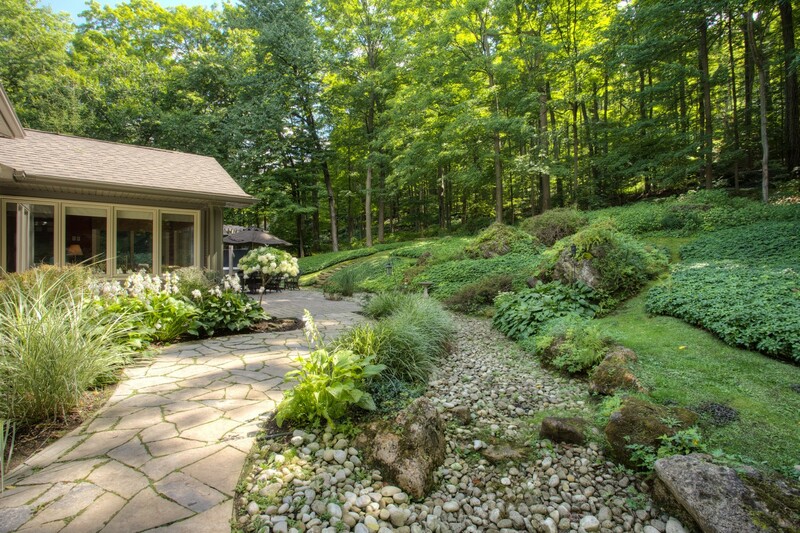 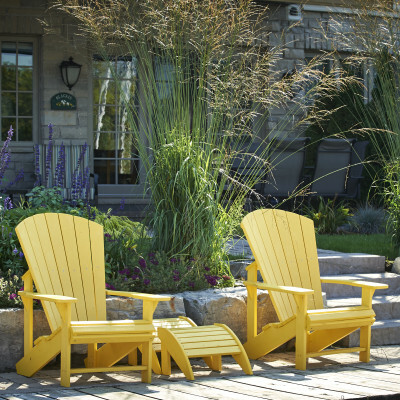 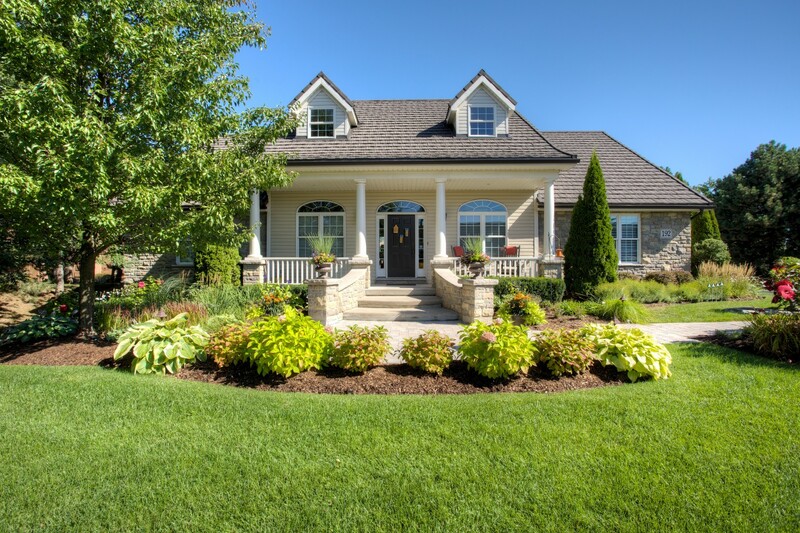 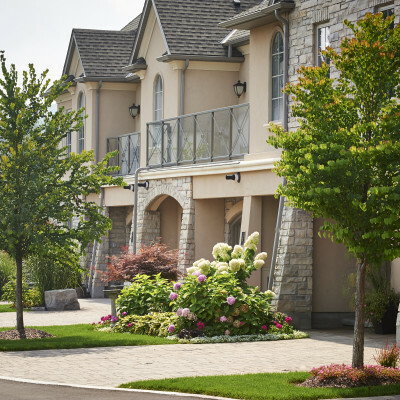 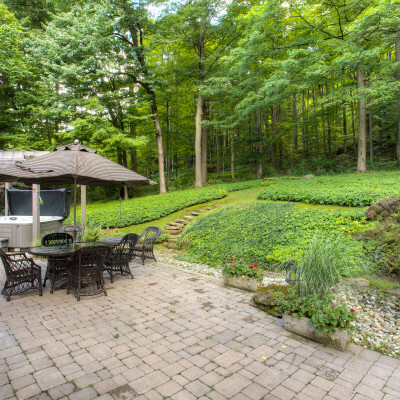 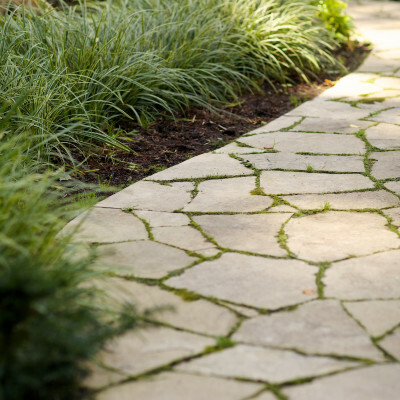 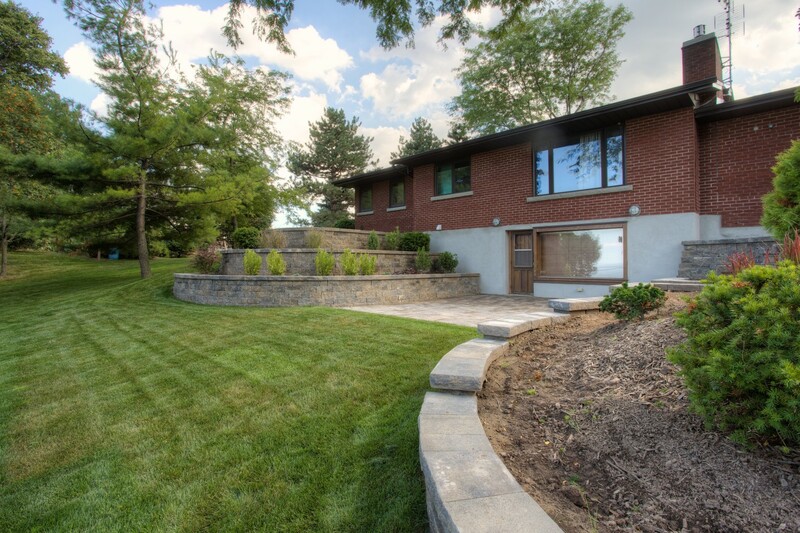 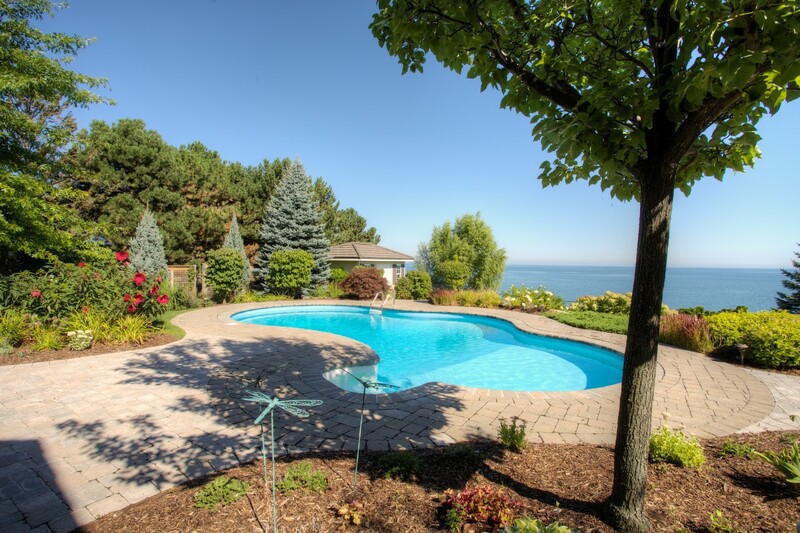 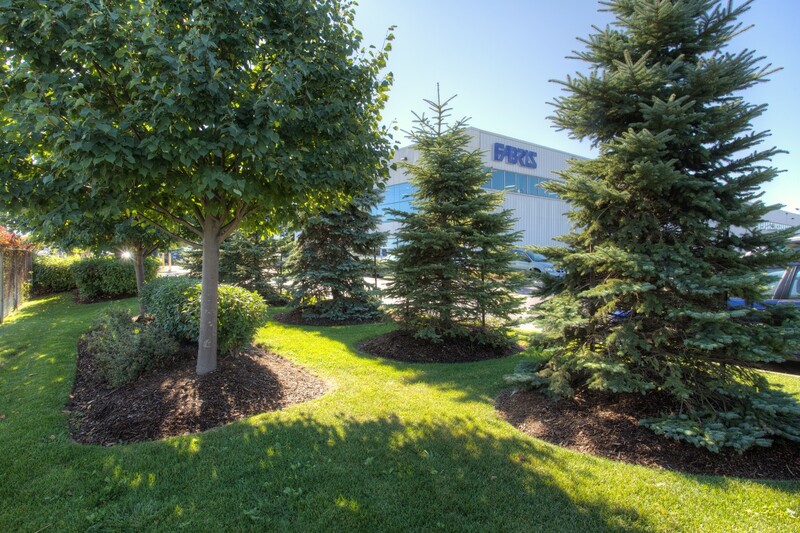 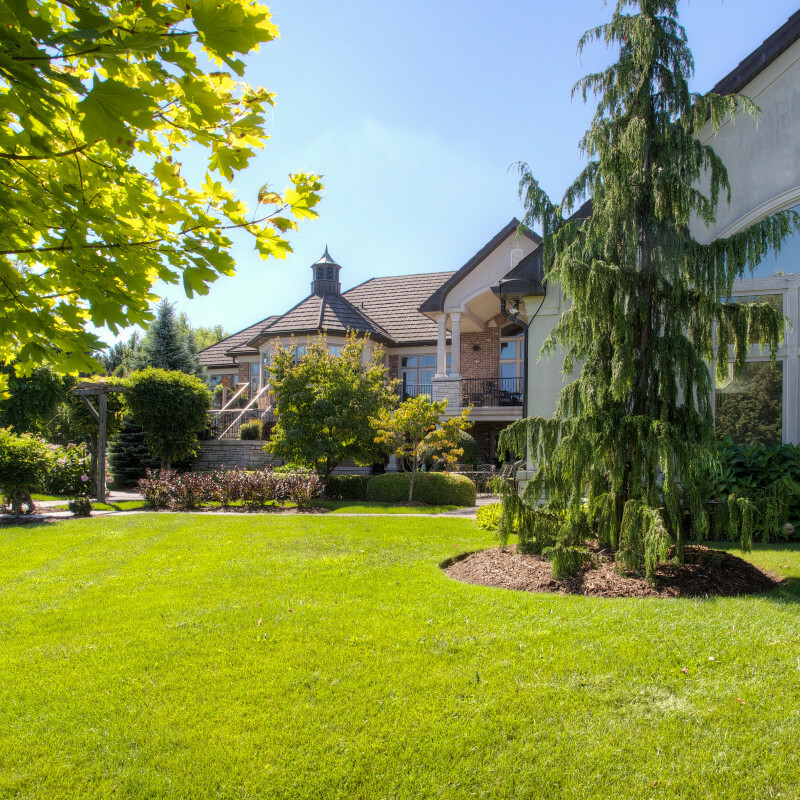 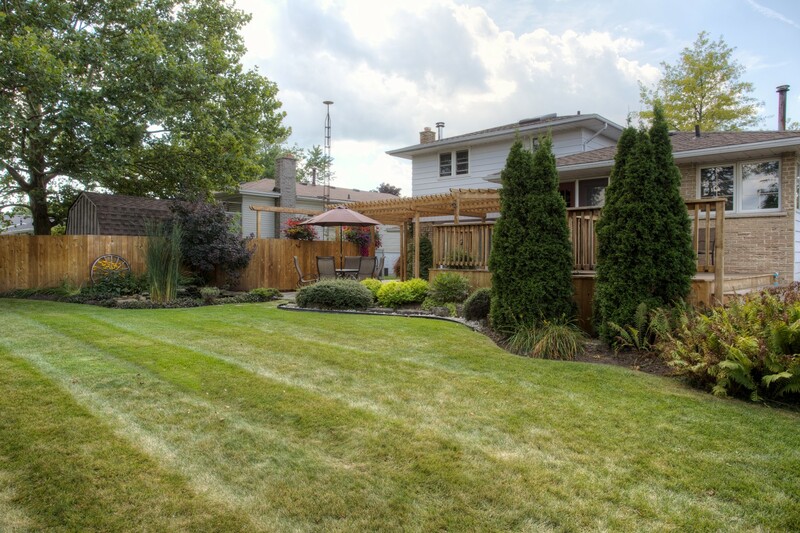 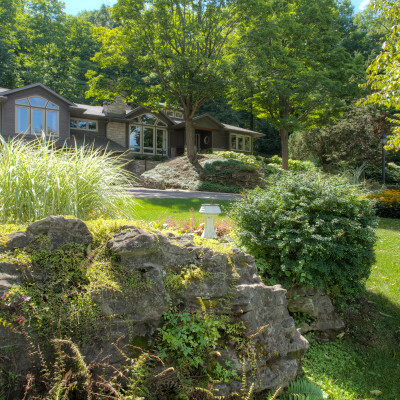 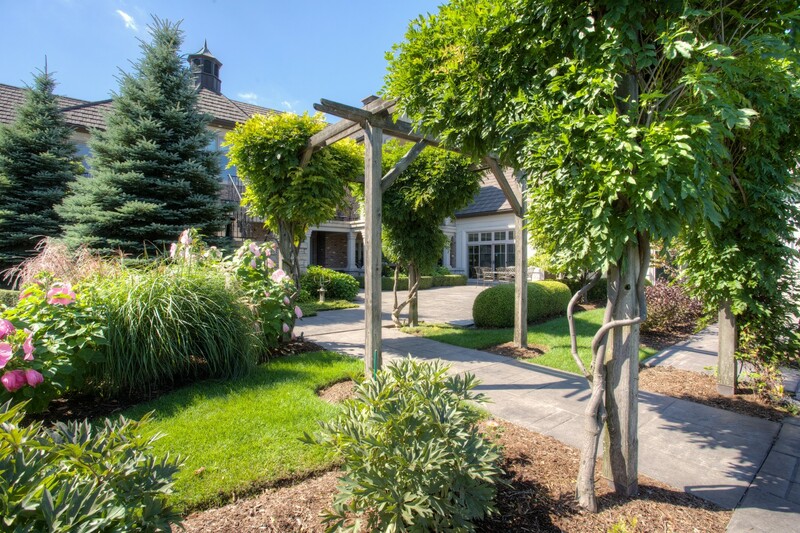 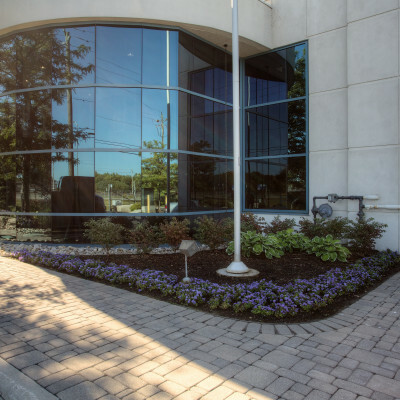 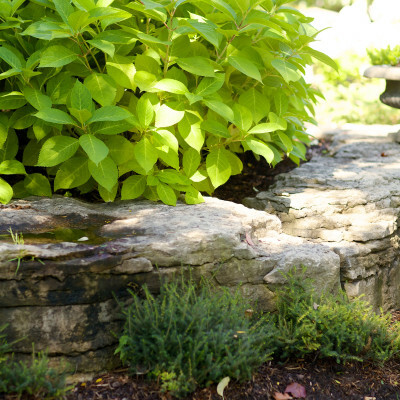 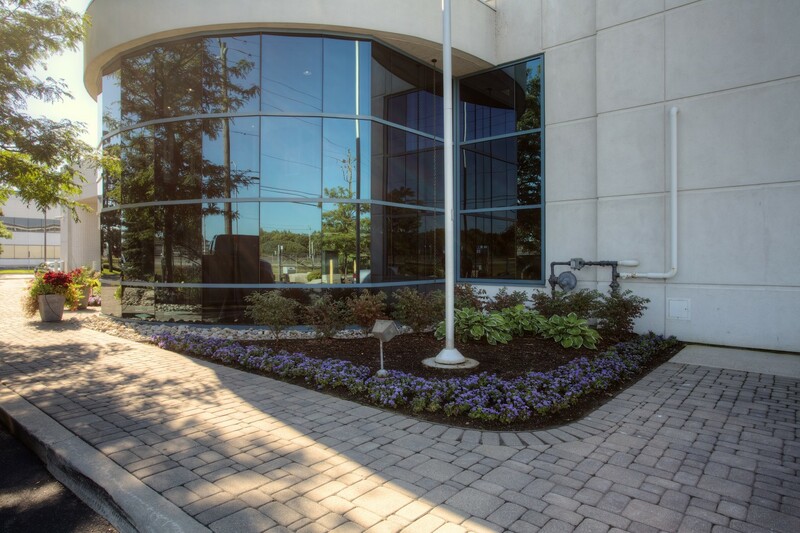 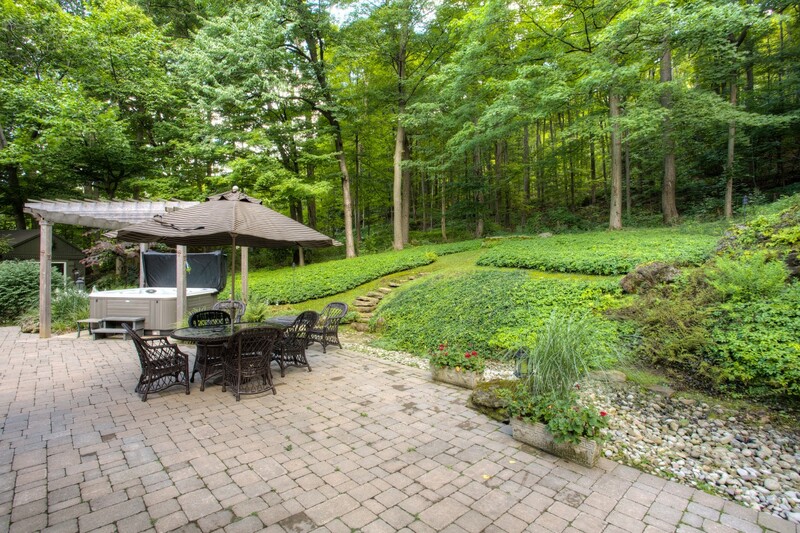 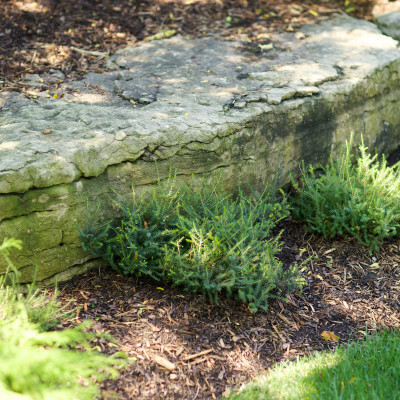 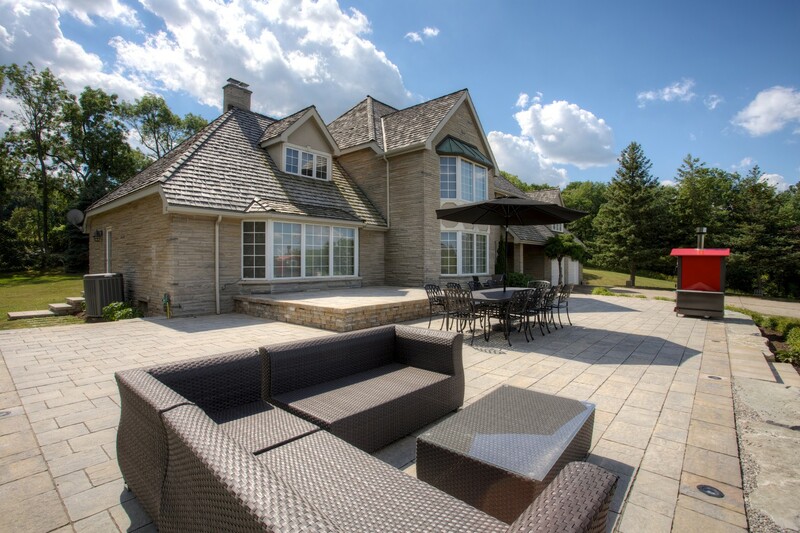 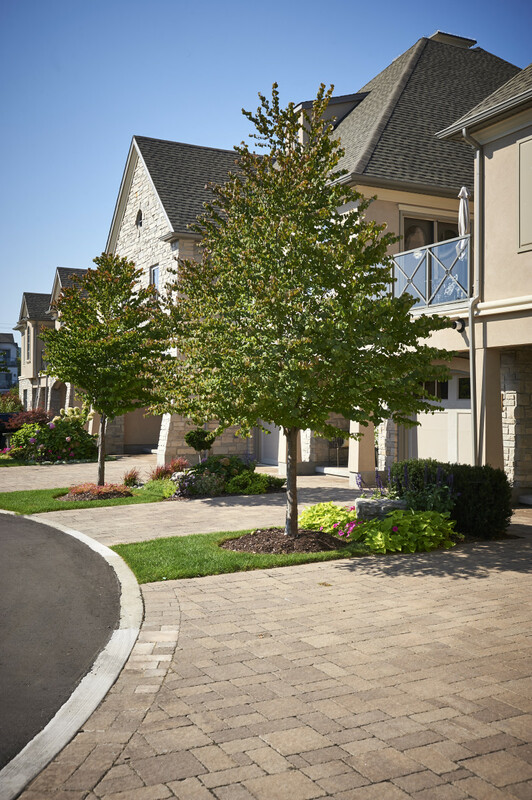 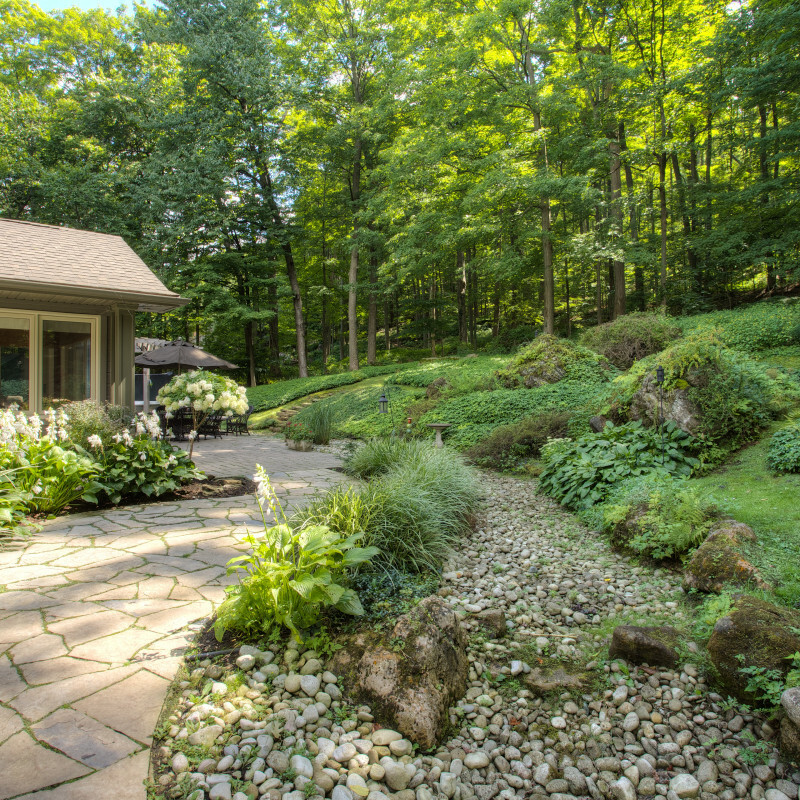 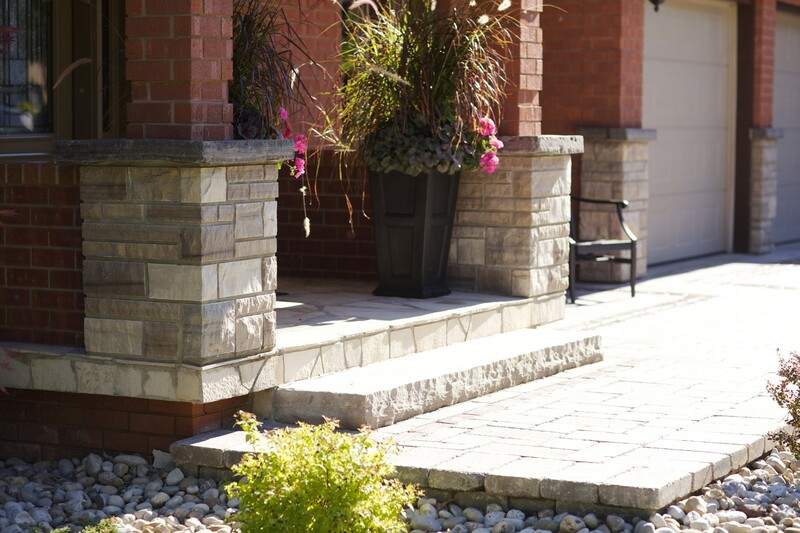 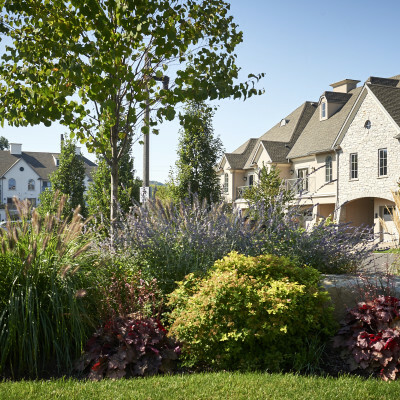 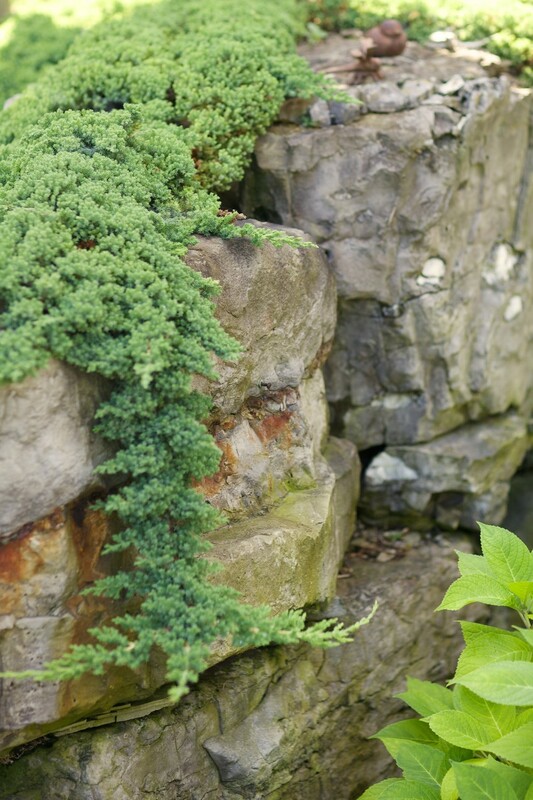 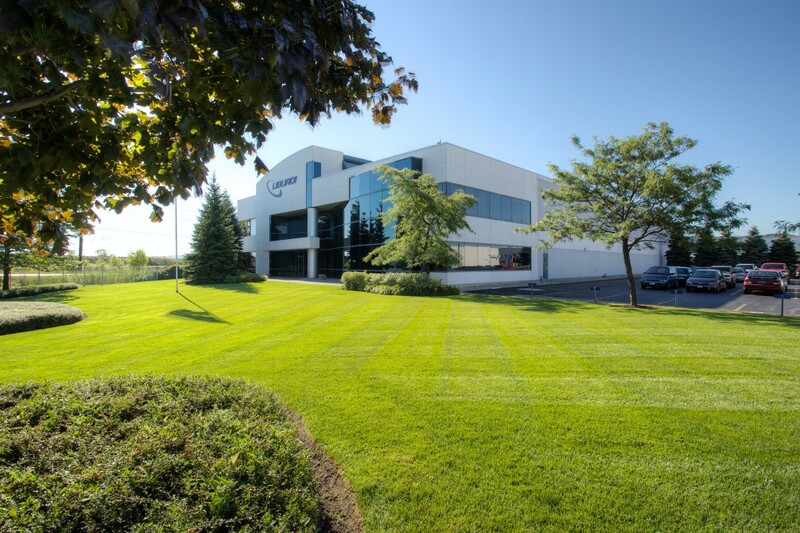 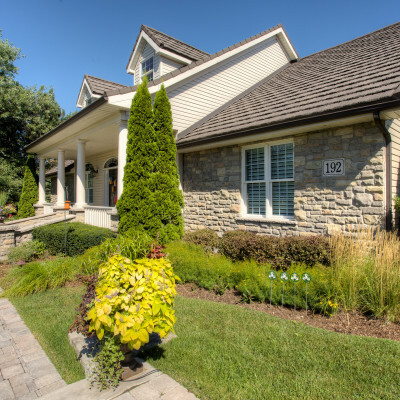 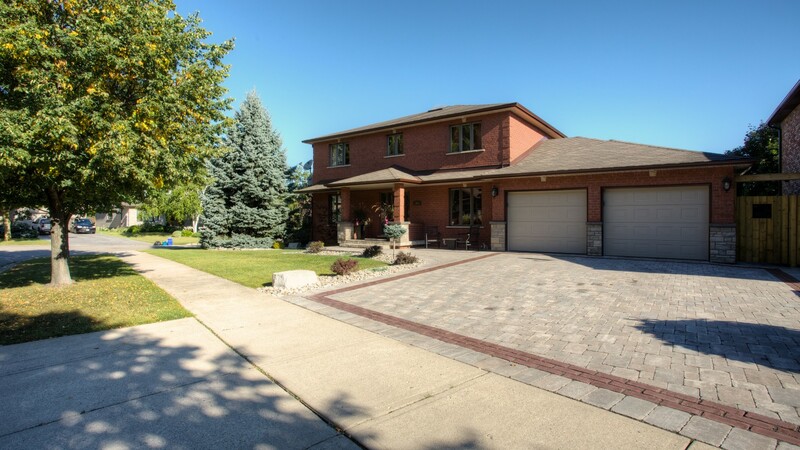 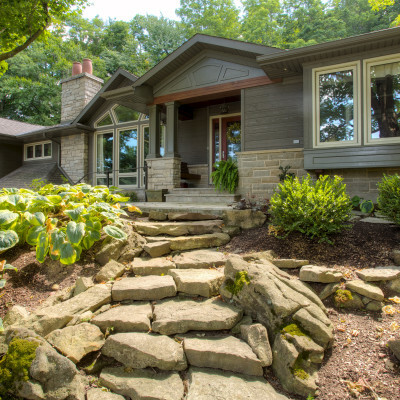 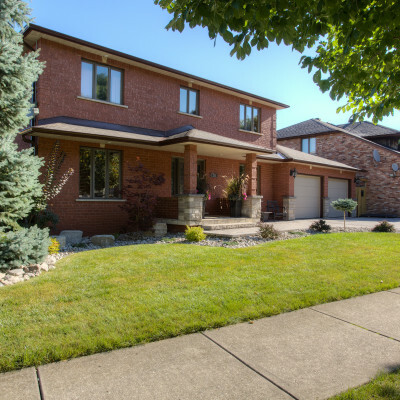 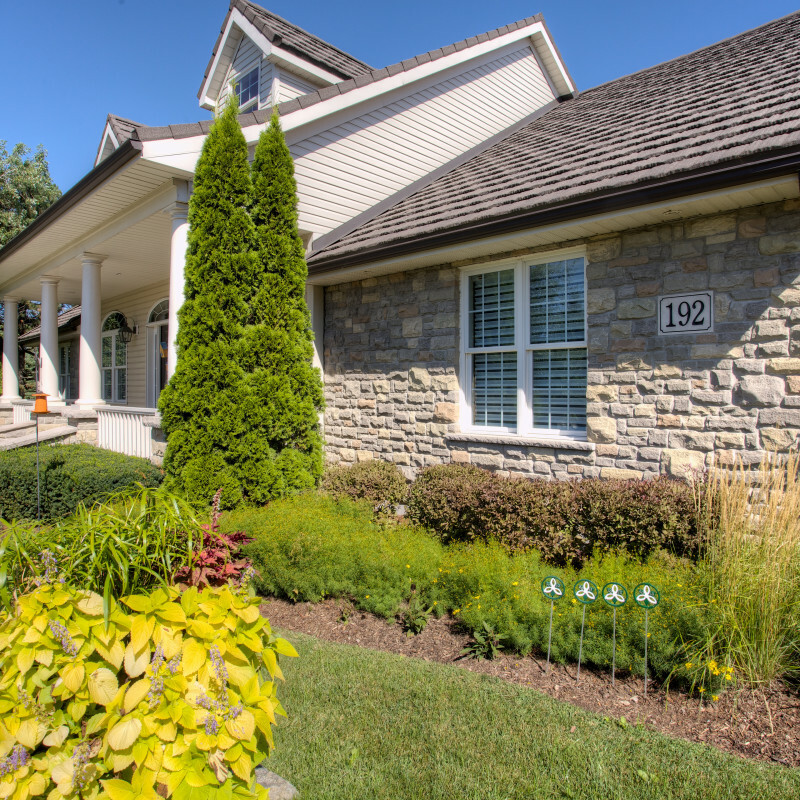 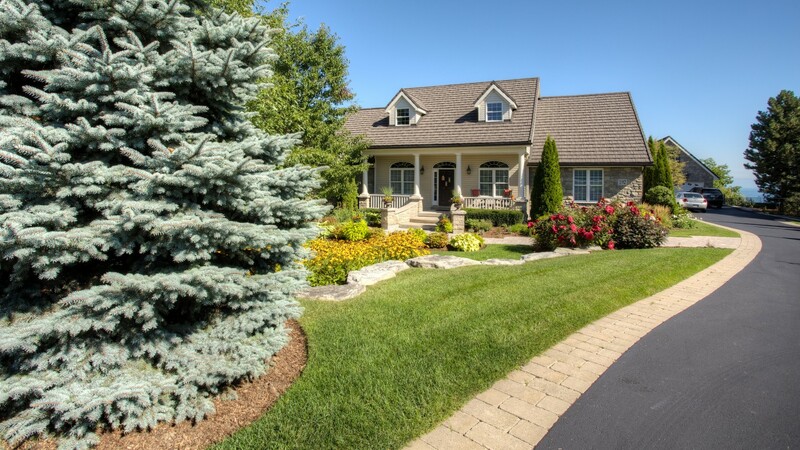 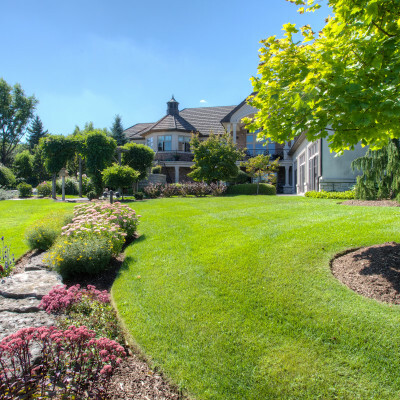 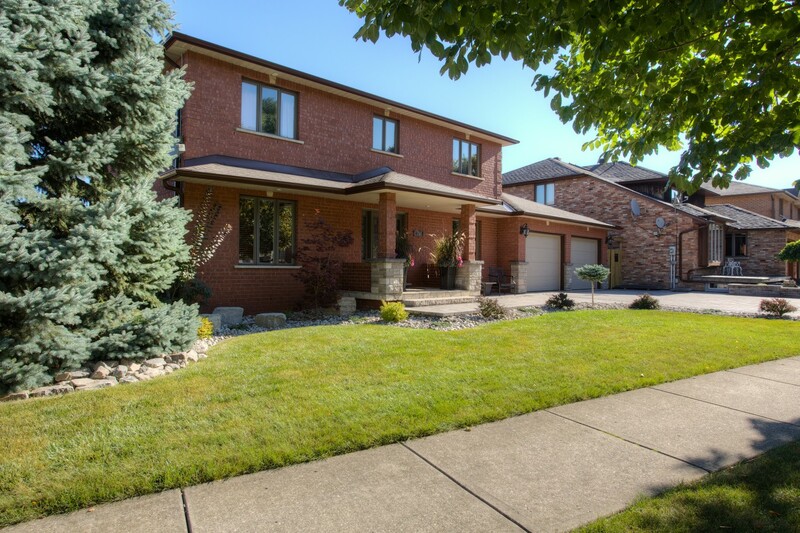 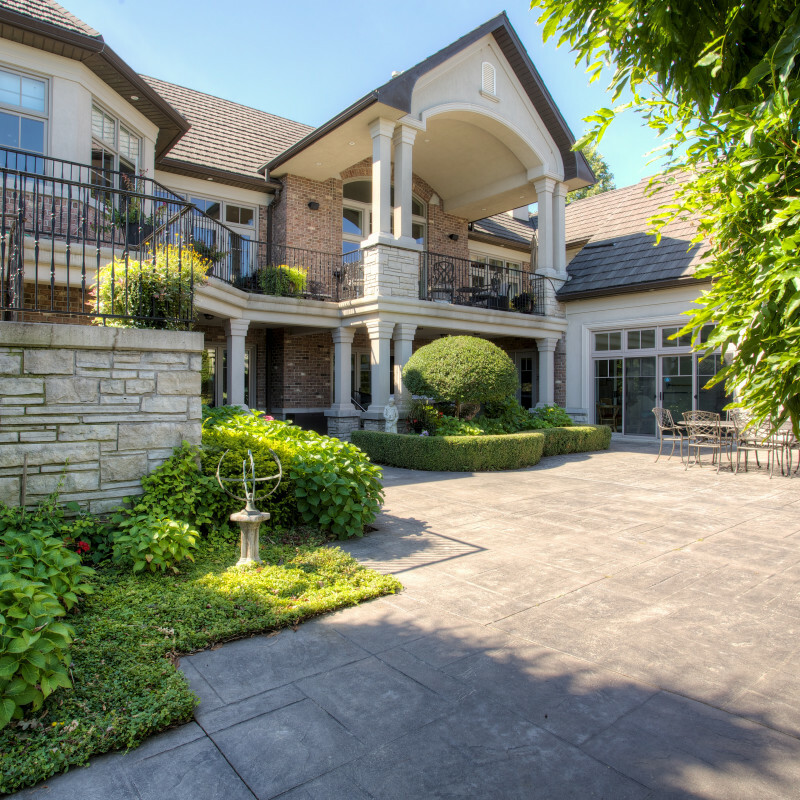 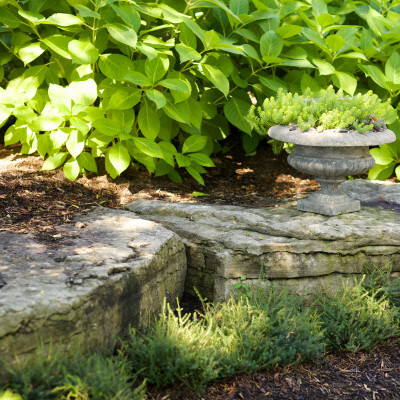 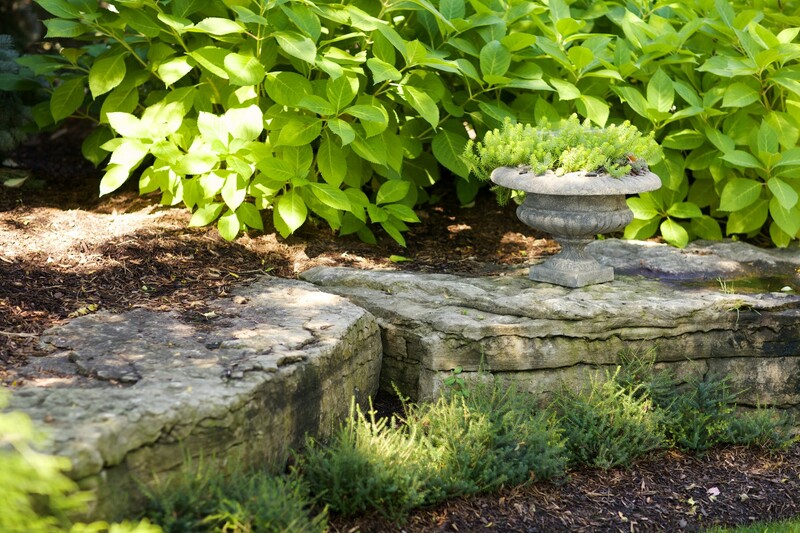 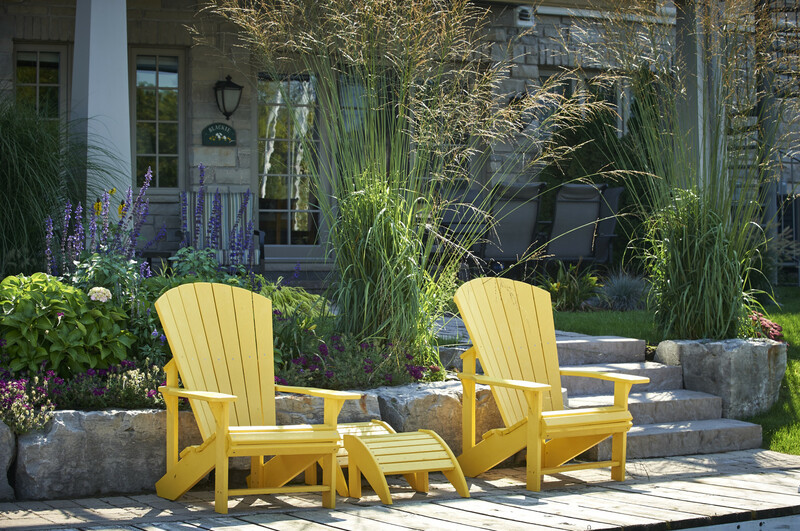 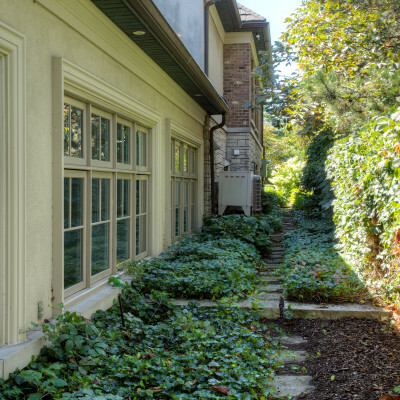 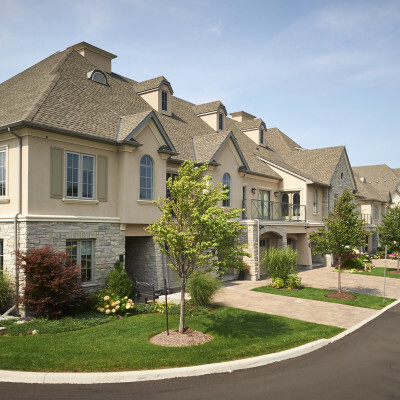 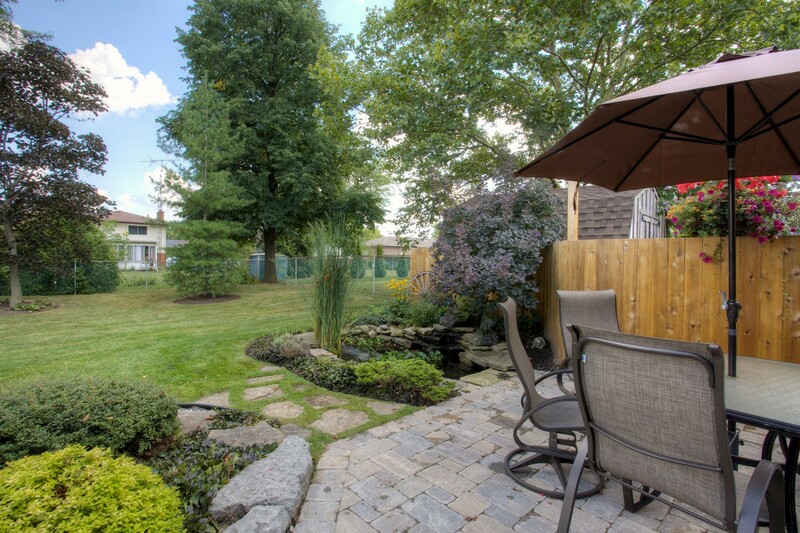 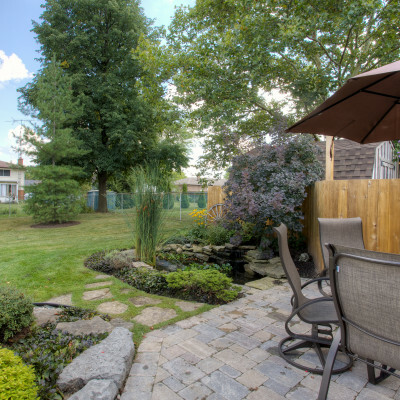 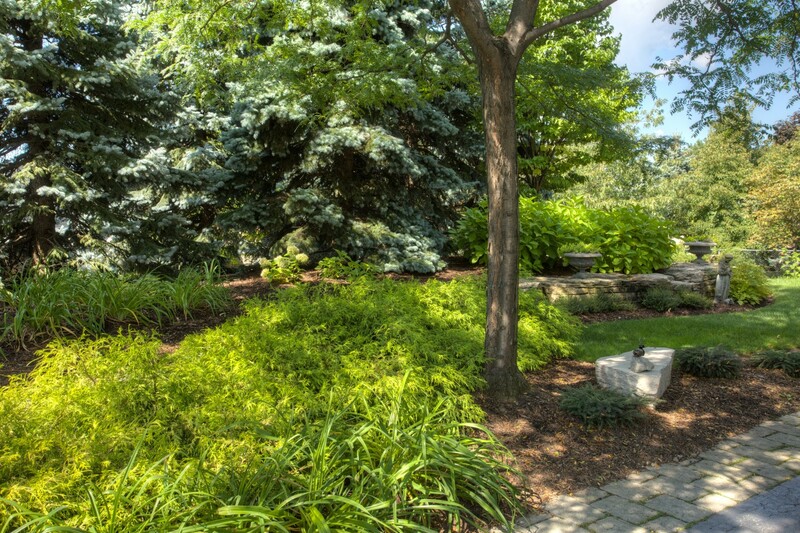 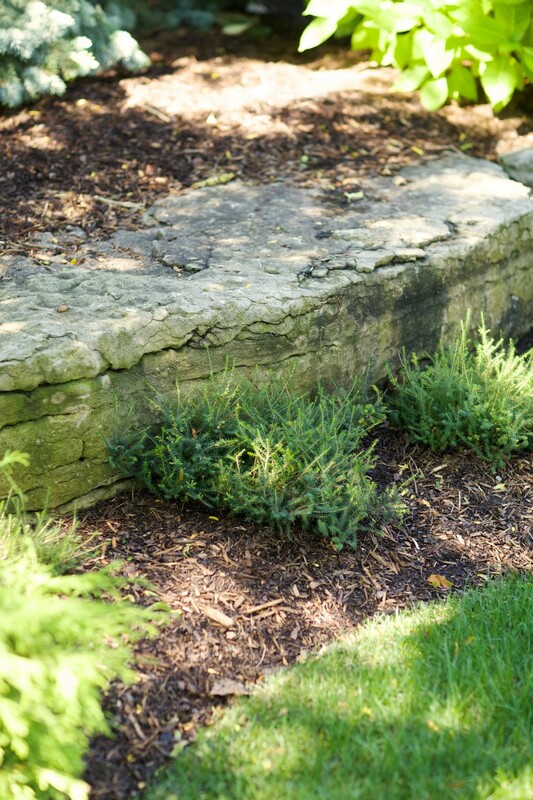 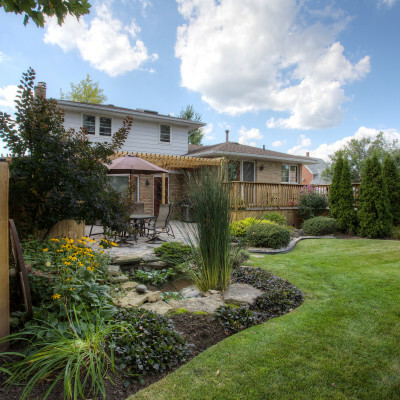 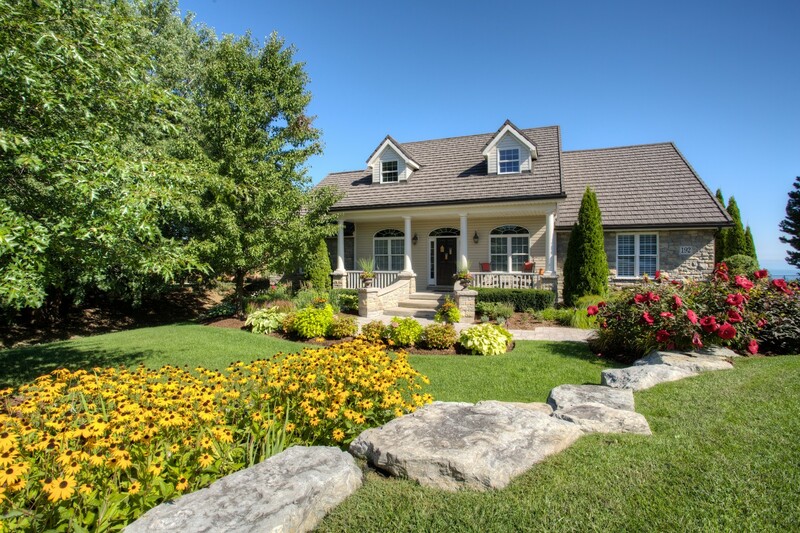 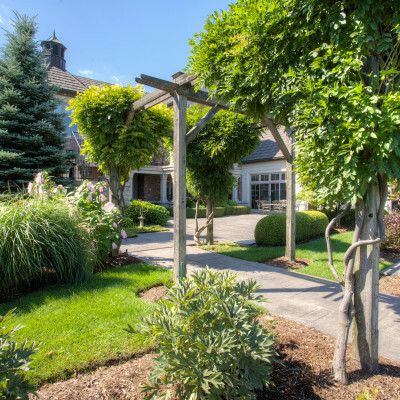 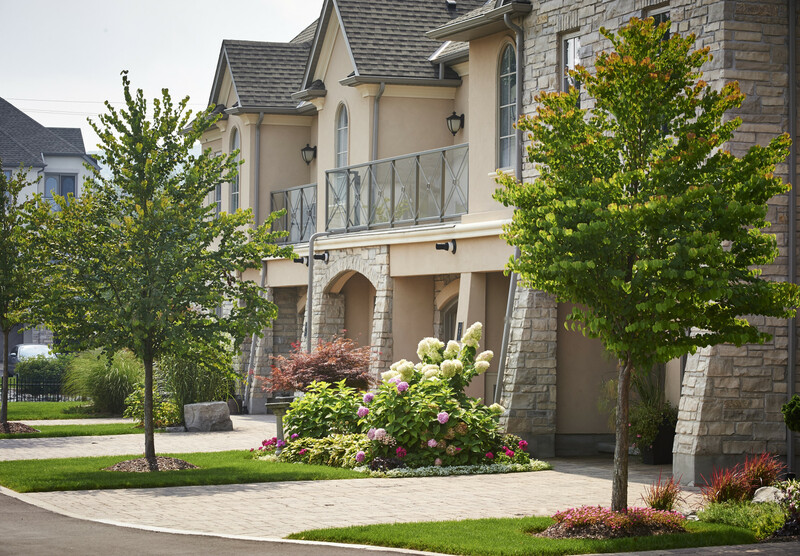 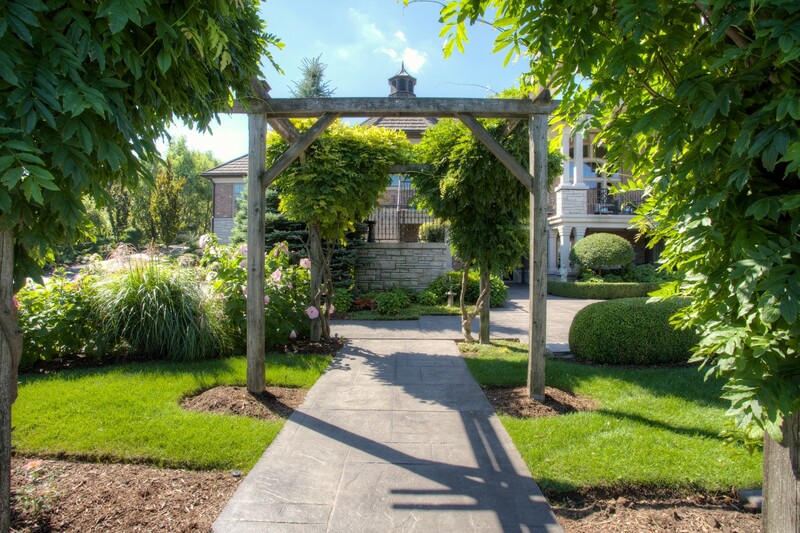 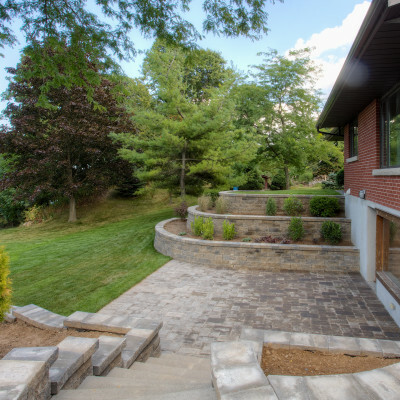 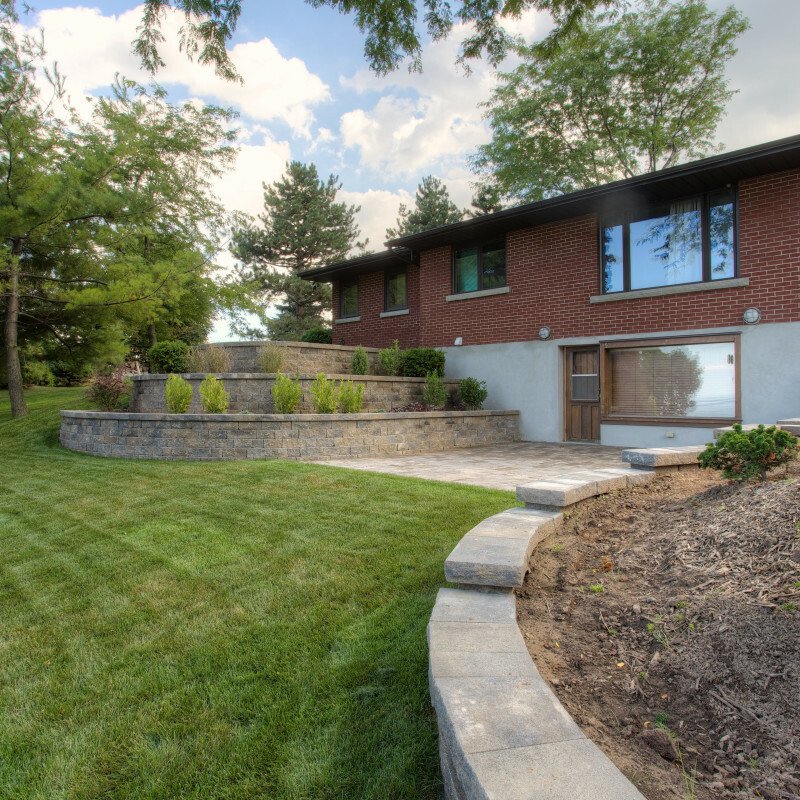 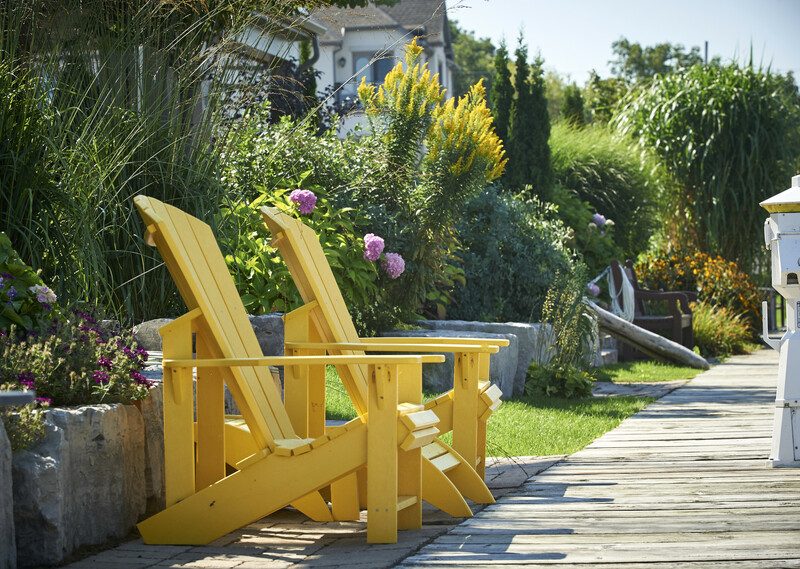 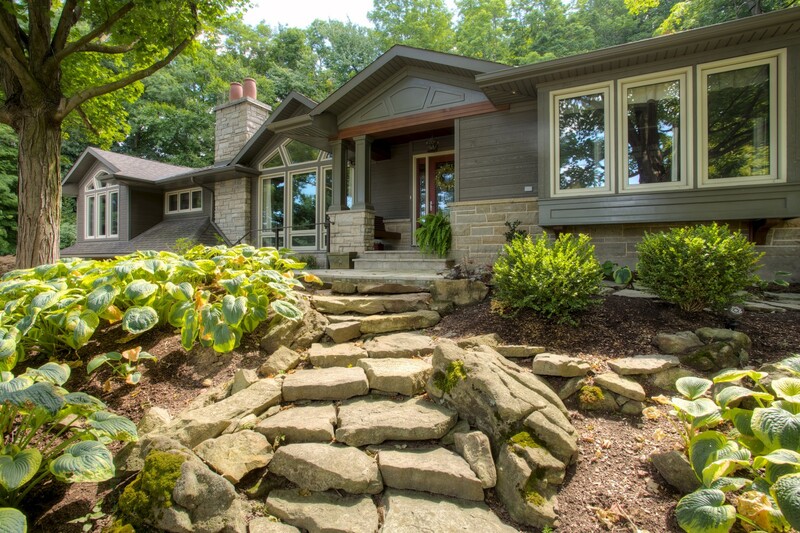 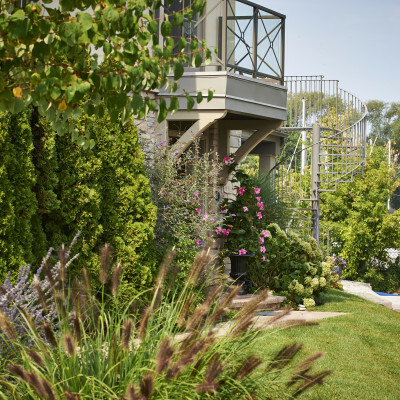 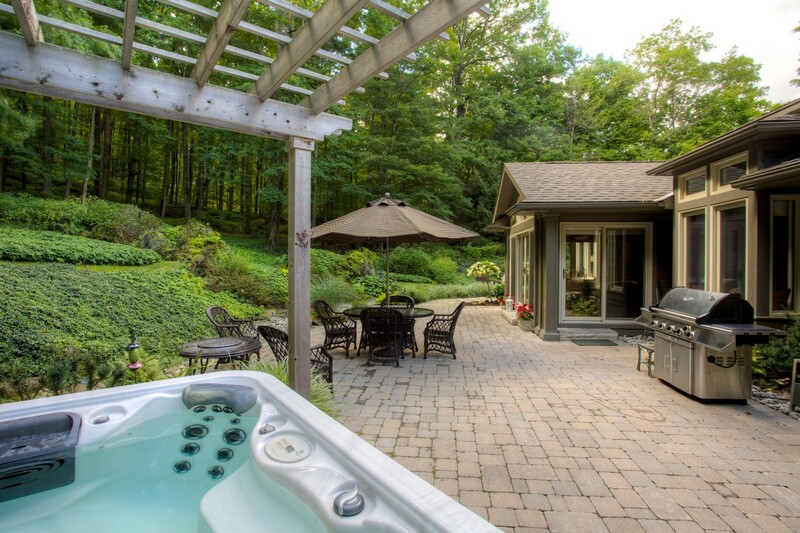 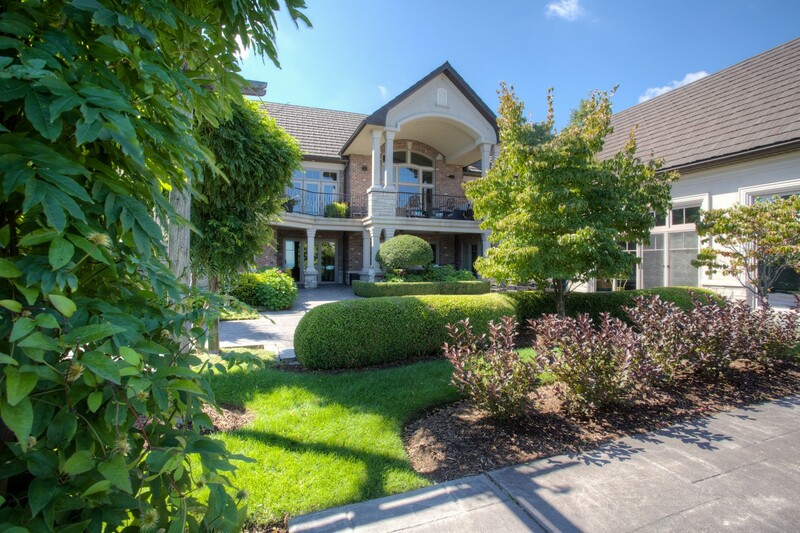 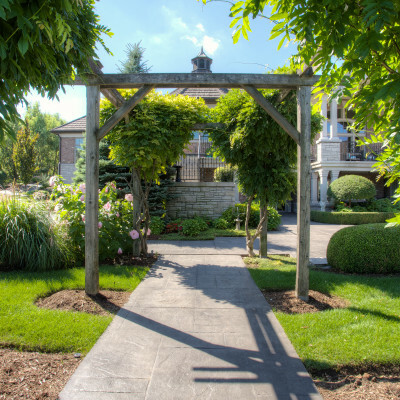 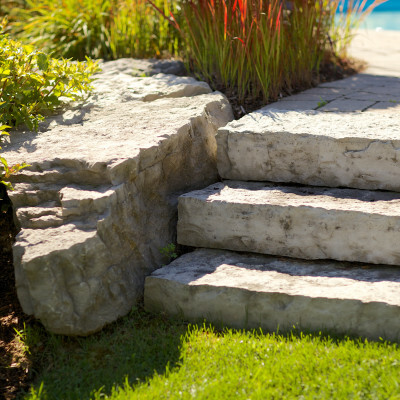 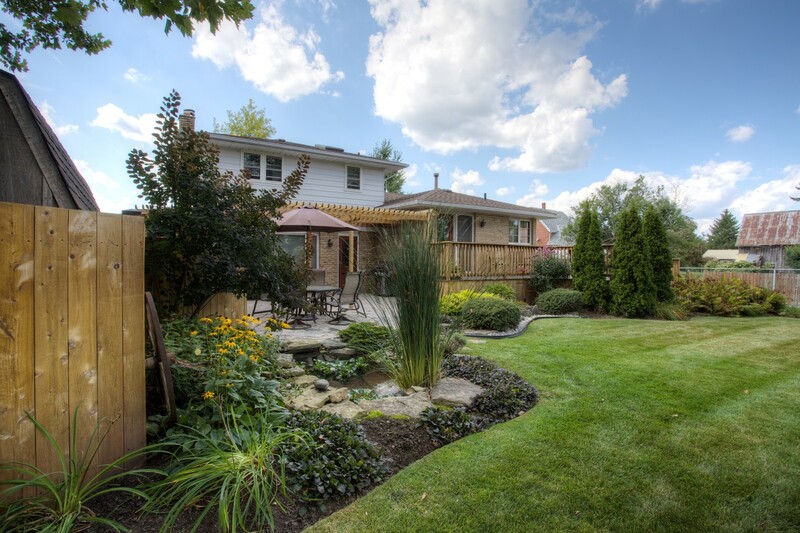 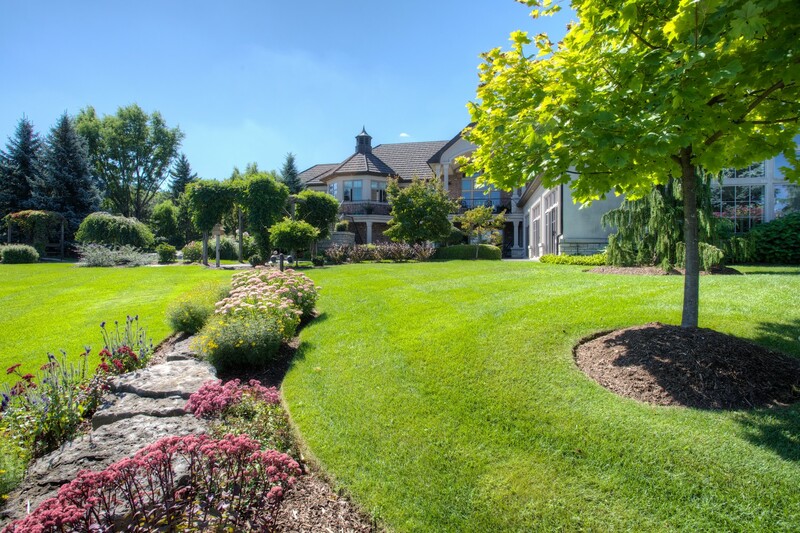 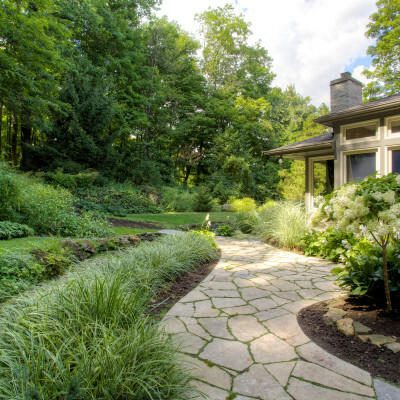 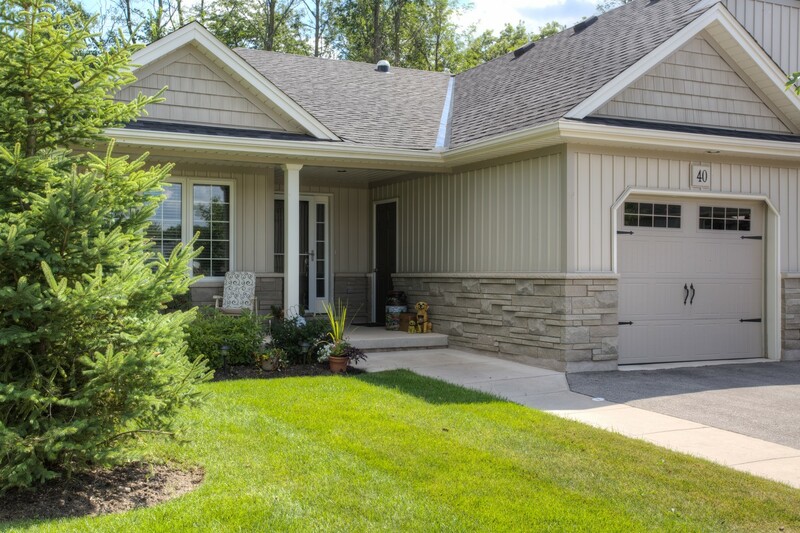 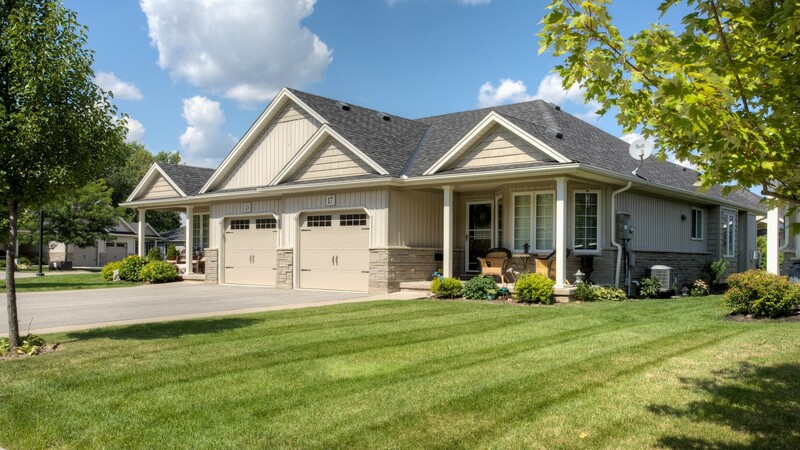 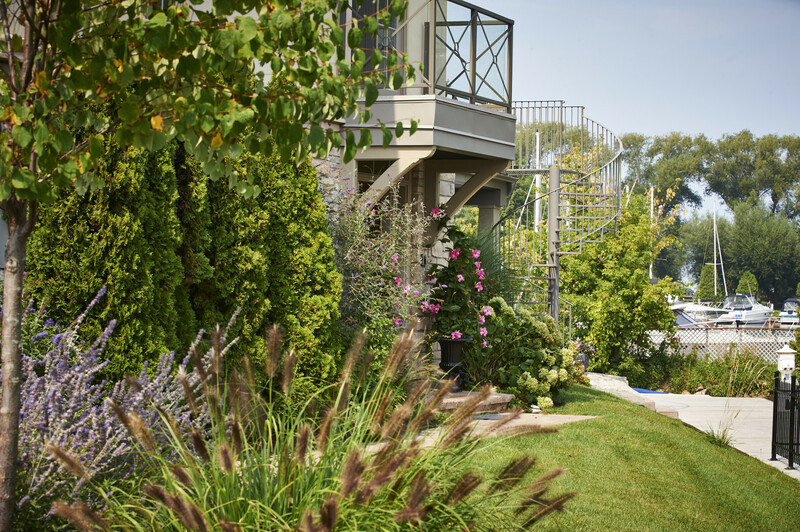 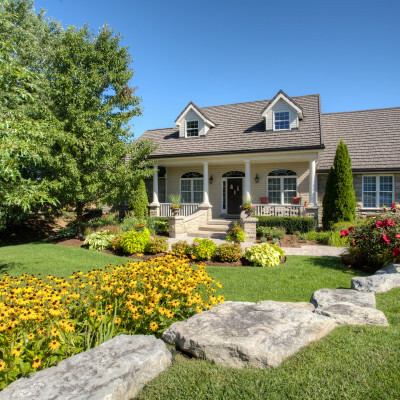 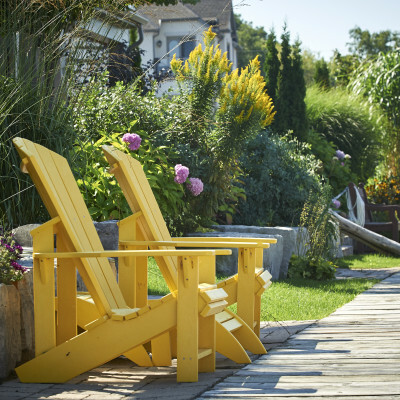 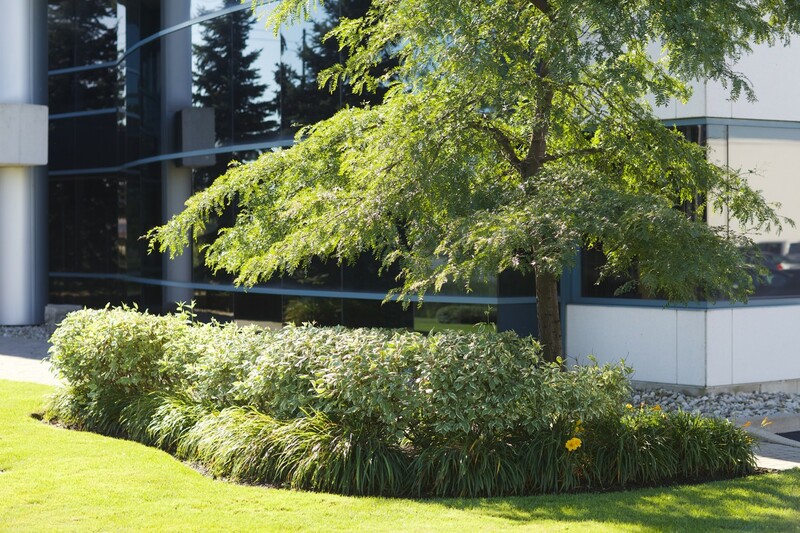 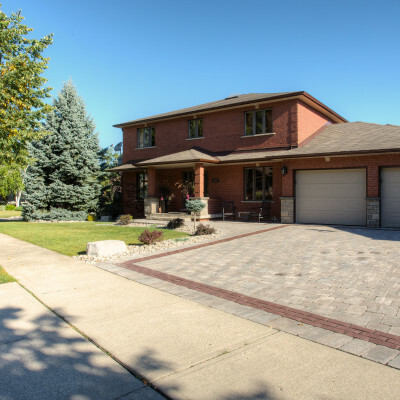 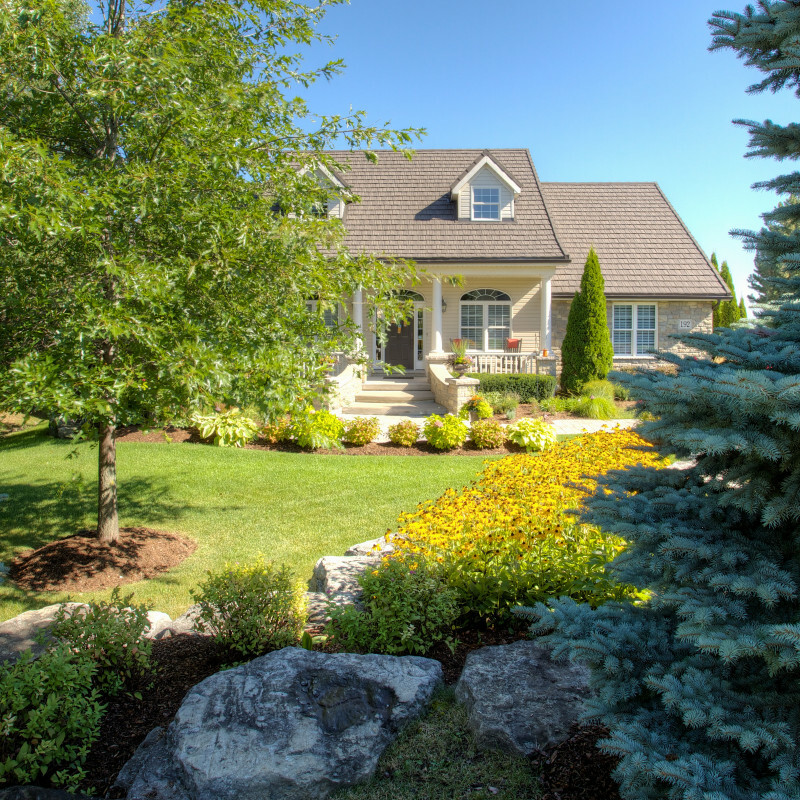 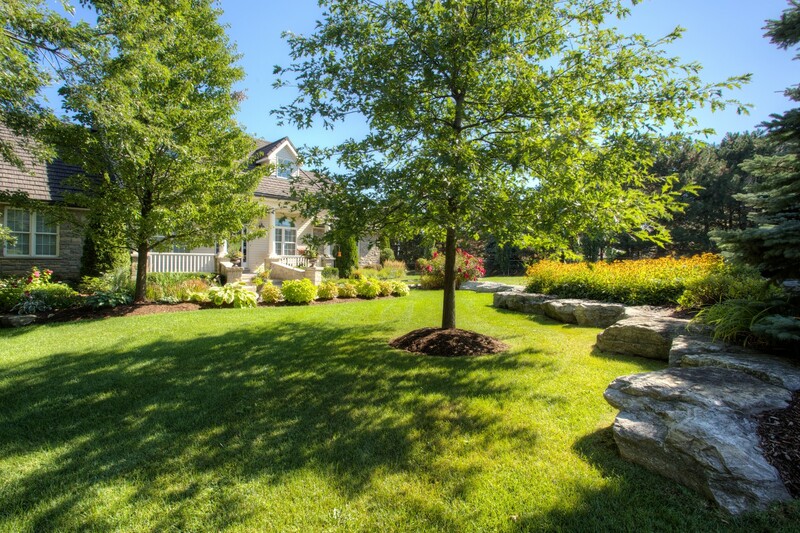 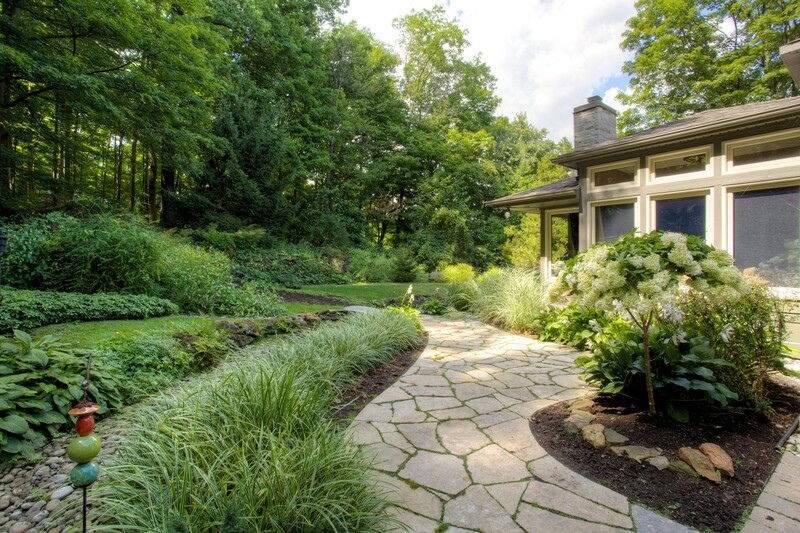 As with all of our landscape construction projects, we use only proven materials and techniques that will stand the test of time – and our Southern Ontario climate. 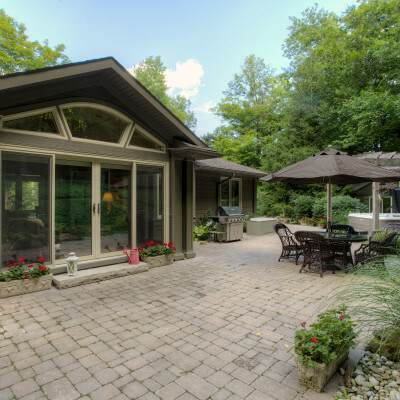 A DeVries-built patio means a structure that’s properly built and ready for years of enjoyment. 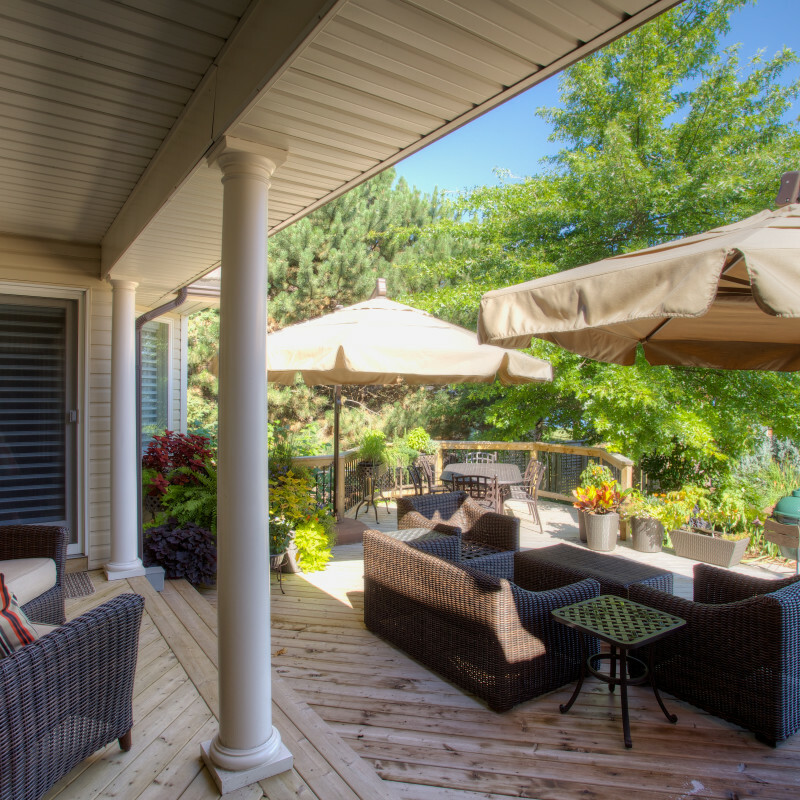 You’ll always get plenty of use out of a deck designed and built by DeVries because we create them to complement both your home and your needs – and we build them to last. 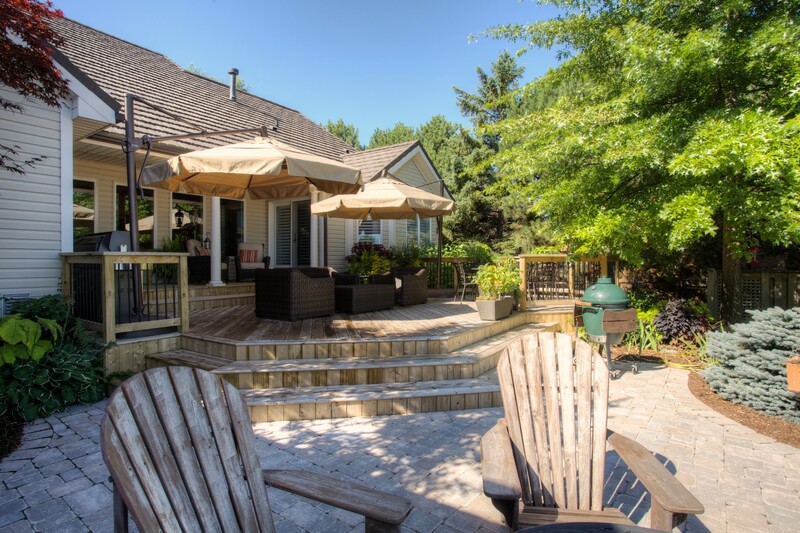 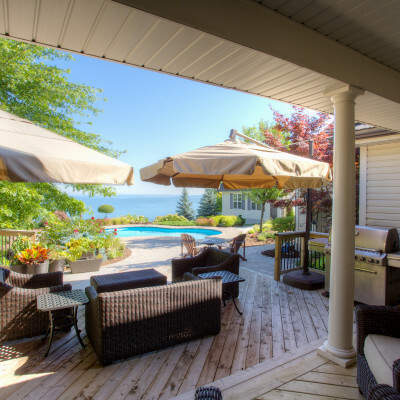 With decades of experience behind us, we know that you’ll get the most use out of your deck if it’s a place you love to be, so we’re very careful to design to your needs and style preferences. 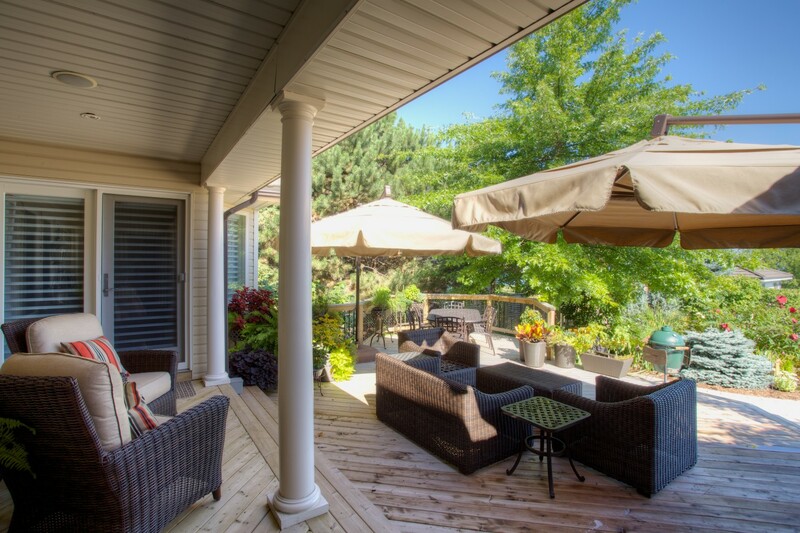 And then we use only top-quality materials and workmanship for the build to make sure it’s a deck that will continue to look great for years to come. 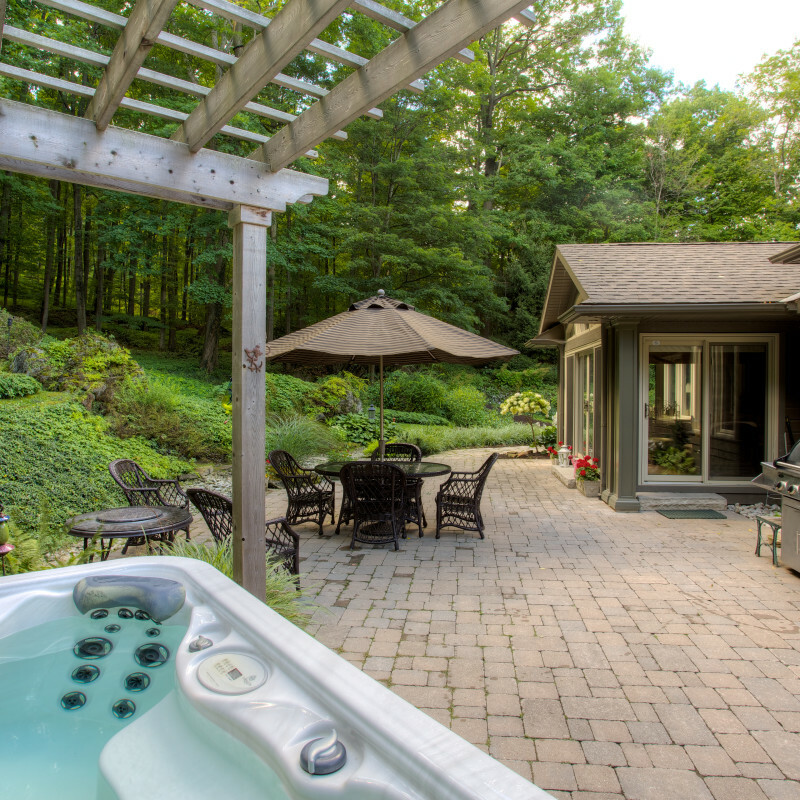 There are so many design features and materials to choose from, like multiple tiers, built-in seating, glass or metal railings, lighting accents and hot tubs, to name just a few. 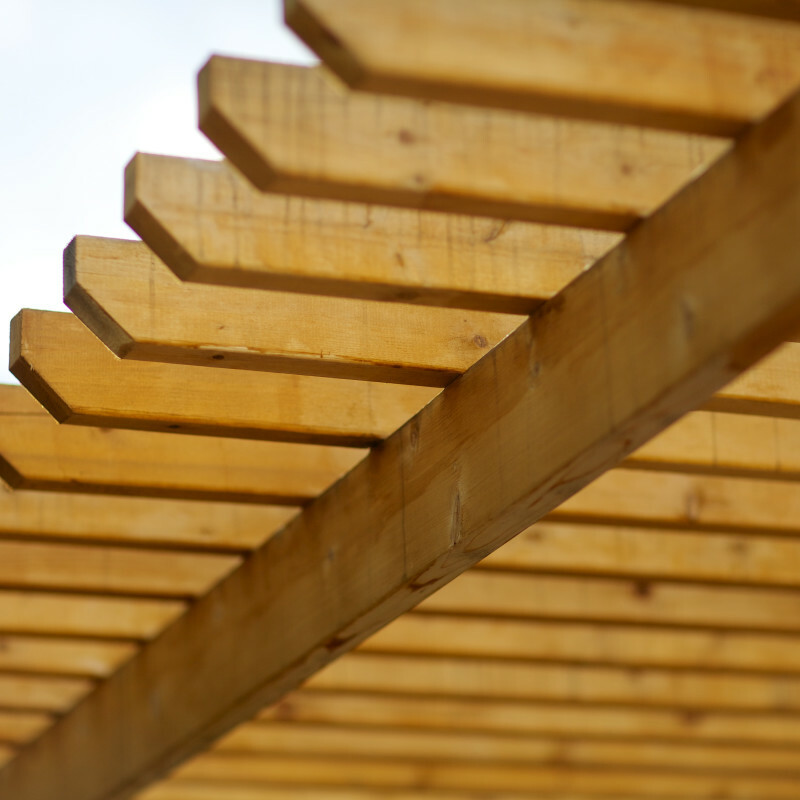 Give us a call to discuss the deck you’re thinking of. 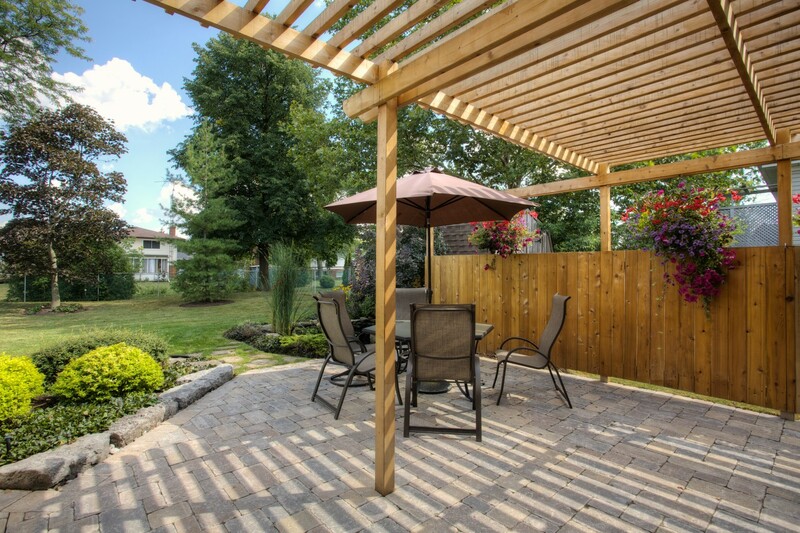 Just think of the pleasures of relaxing in the enchanting comfort of a wood gazebo or pergola. 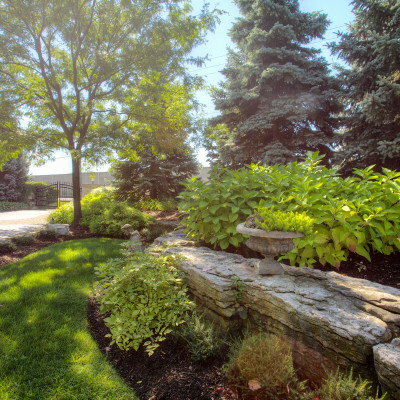 Beautiful from within and just as beautiful from a distance, as part of the view of your backyard landscape. 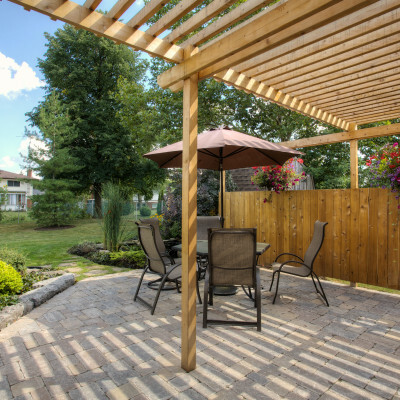 Pergolas can offer a fully shaded or sun-dappled retreat – a welcome feature in most yards today, whether near a pool, over a deck or as a picturesque outdoor dining area. 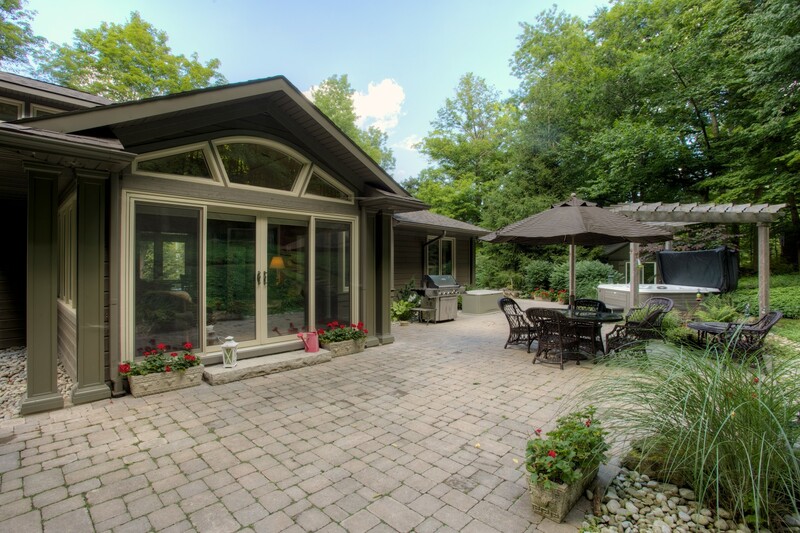 Gazebos offer a more enclosed experience and so can be great for extending your enjoyment of the outdoors, in inclement weather, if the bugs are out or when the temperature drops. 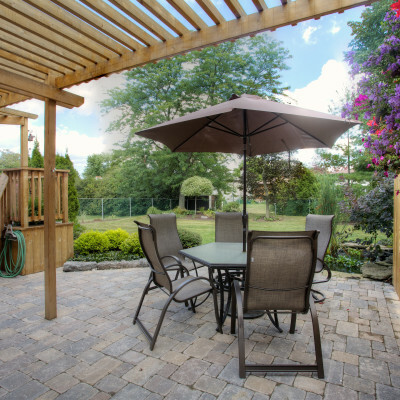 We can equip gazebos with any conveniences – electrical, heating, lighting, etc. 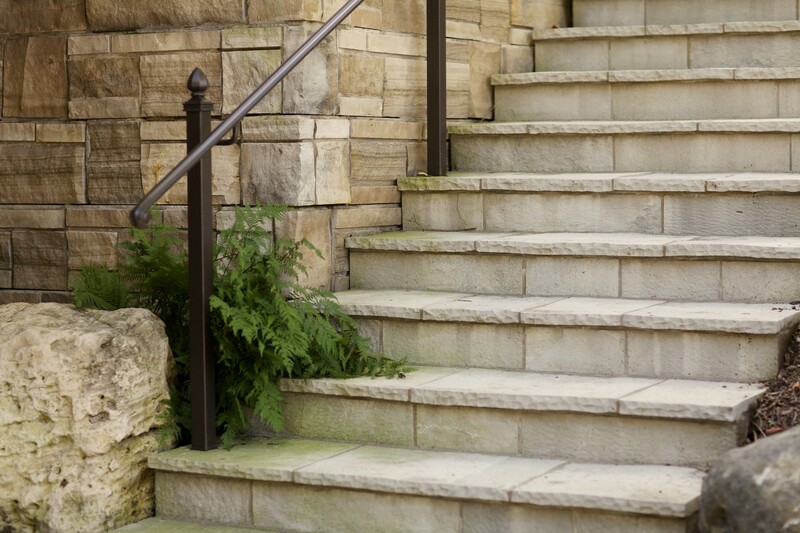 – for whatever comfort level you’re looking for. 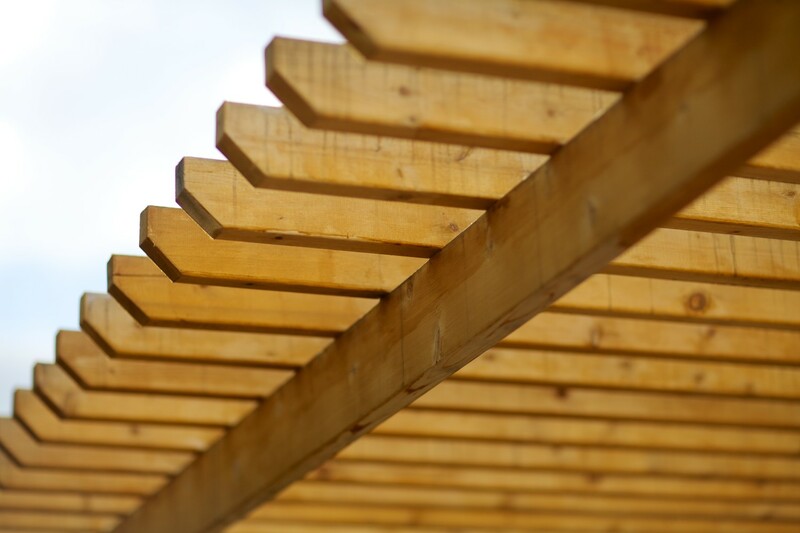 Get in touch with us to discuss the outdoor structure you’re thinking of. 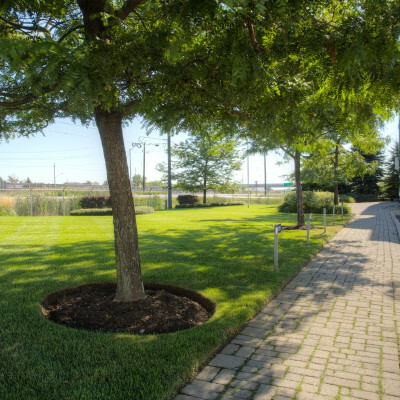 We’ll be happy to design and build a special little home away from home, right in your own backyard! 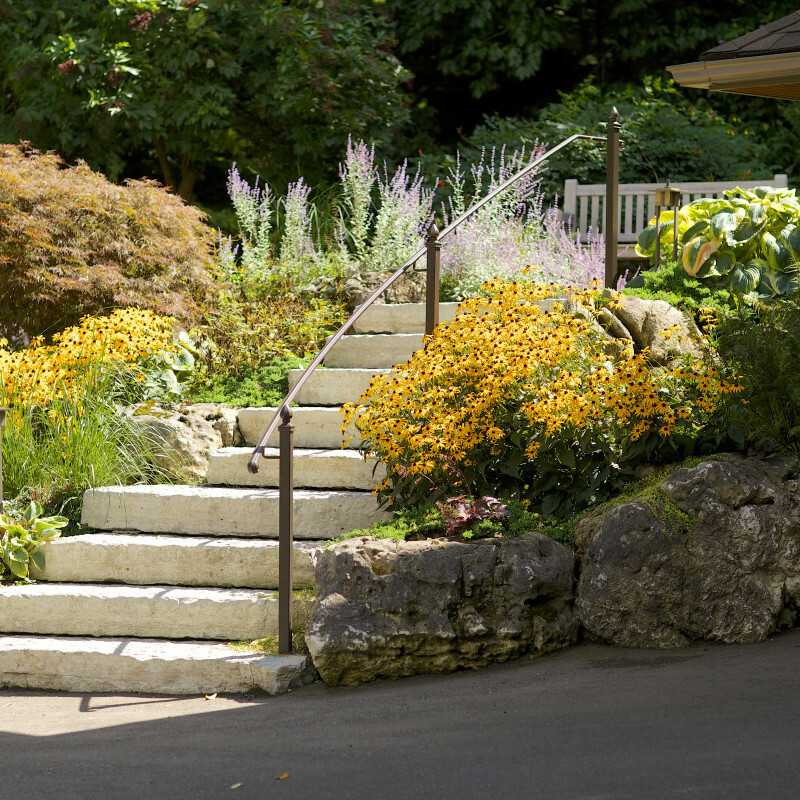 Thinking of making some improvements to your gardens? 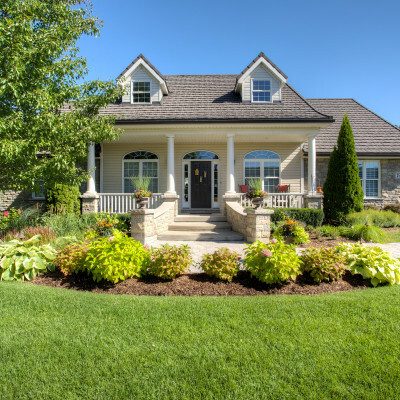 A complete renovation of your beds, perhaps? 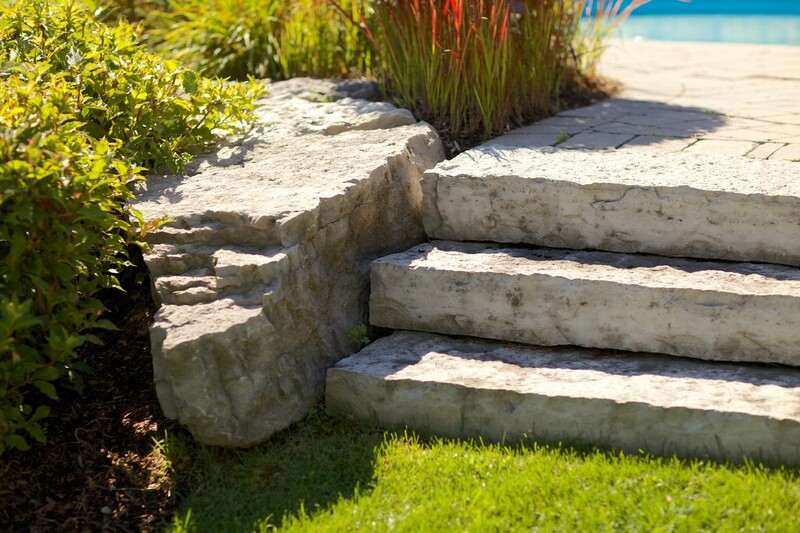 Then let the experts at DeVries handle it! 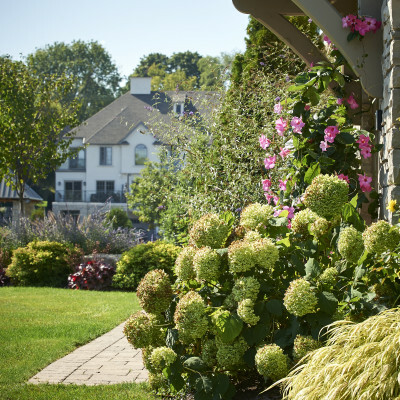 We specialize in the design and installation of gardens and planters that reveal an ever-changing beauty throughout your garden’s growing season – even into the dormant months! 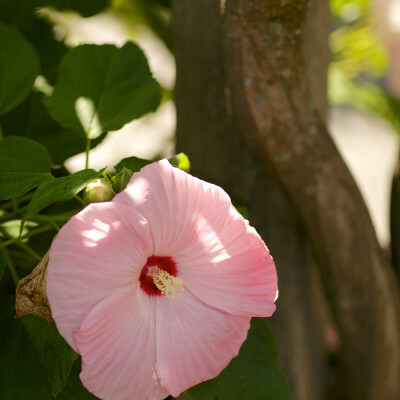 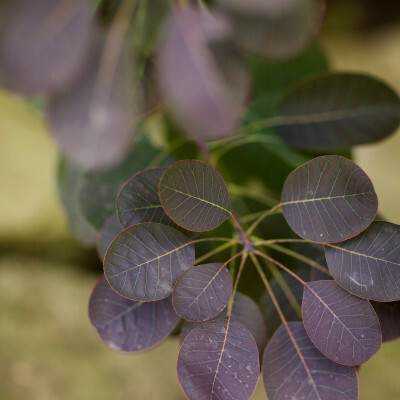 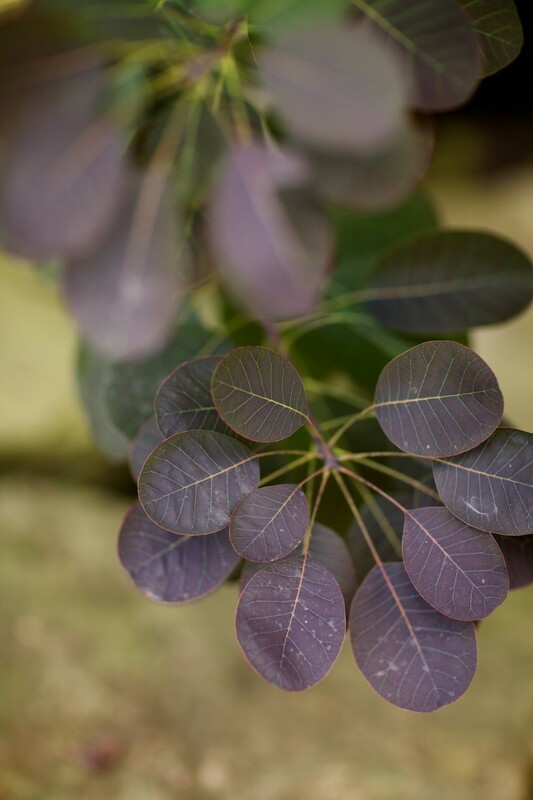 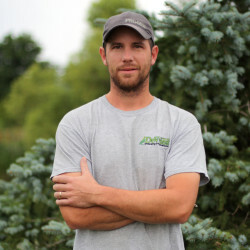 Think of us for all your garden care, from weekly plant, shrub and tree maintenance to the more sporadic needs like transplantings, divisions and planter replacements. 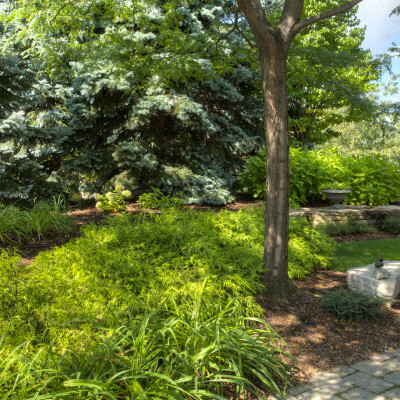 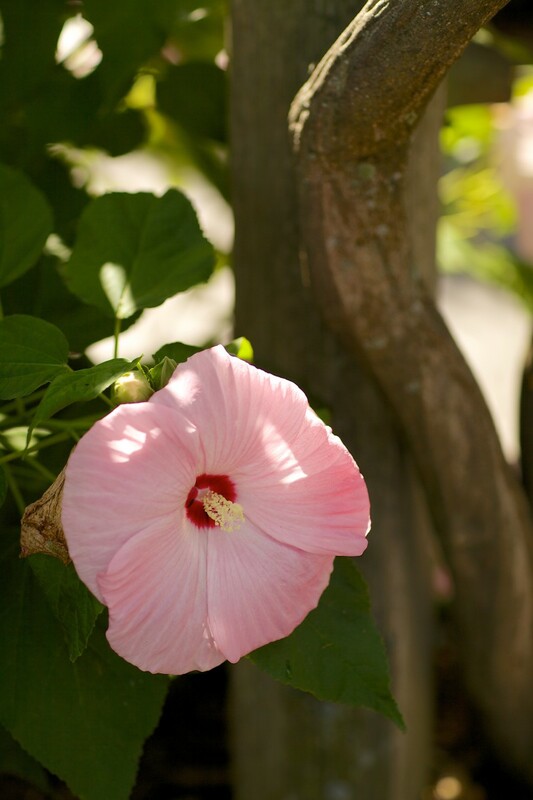 We’ll be happy to set up a seasonal program with you to keep your gardens healthy and beautiful, or take care of the occasional projects as needed. 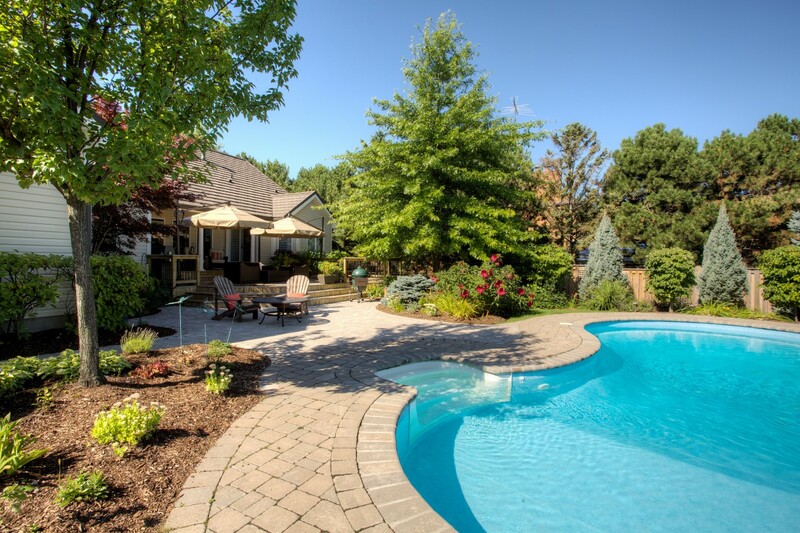 Life with a pool is wonderful! 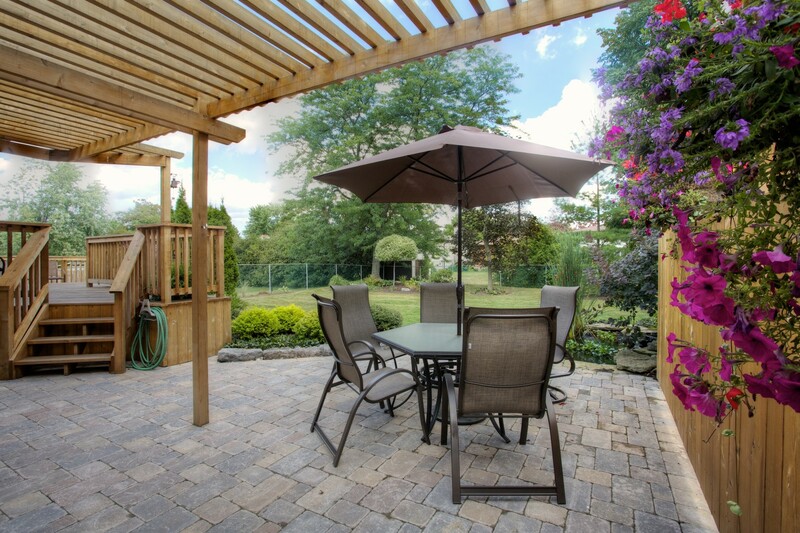 Make the most of your space with a setting that feels like the perfect escape. 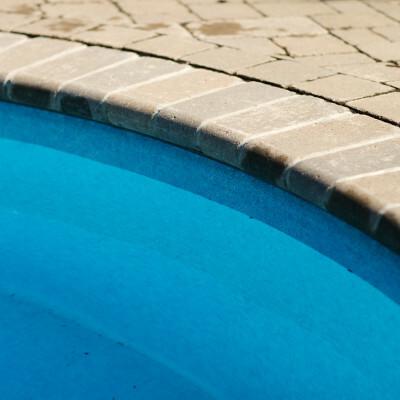 DeVries will design and build your entire poolscape – from stone coping and poolside patios to the interplay of plants and flowers within the pool area and beyond. 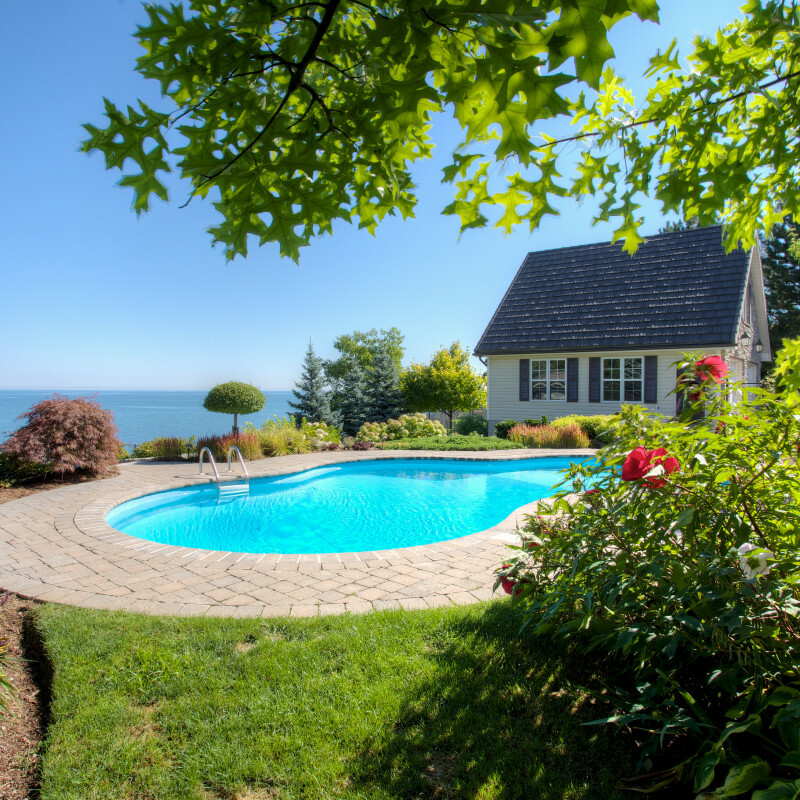 Thinking of adding a pool to your backyard? 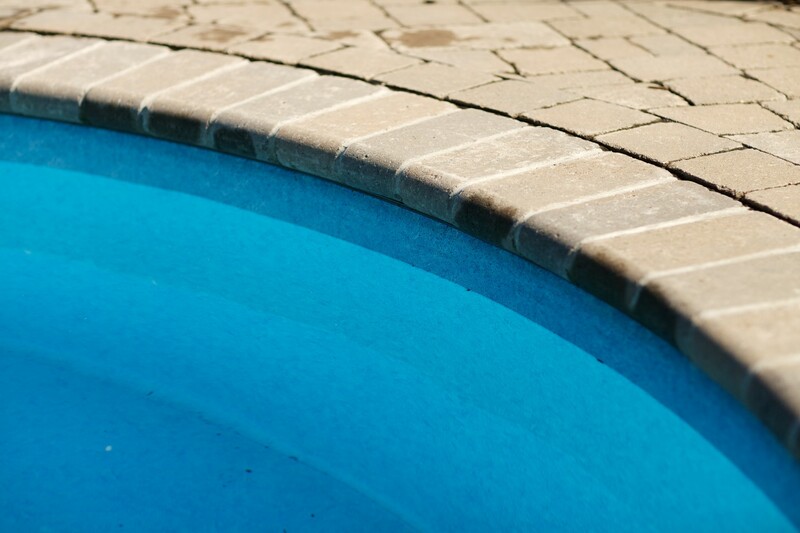 We can take care of the entire project, corner to corner, so that you only have to get ready for the first big splash! 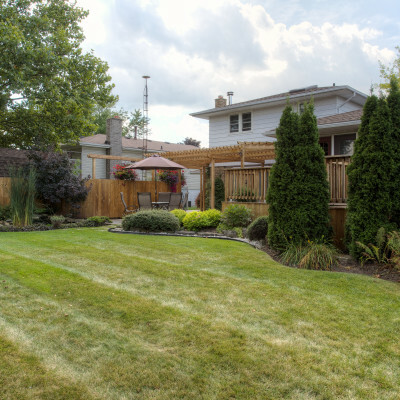 As property care specialists, we’ll have the whole picture in view as we manage the project, so you can be sure all the elements of your backyard will work for you and work together beautifully. 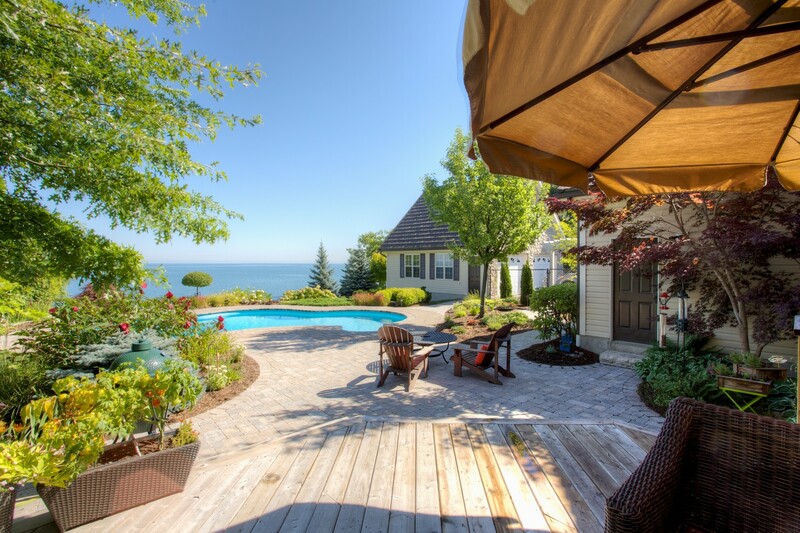 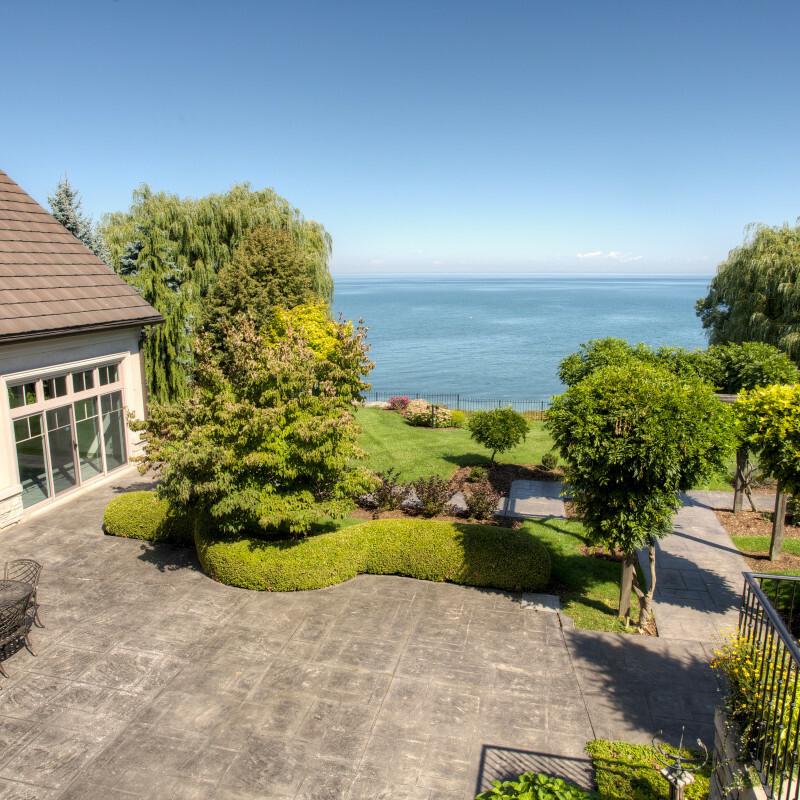 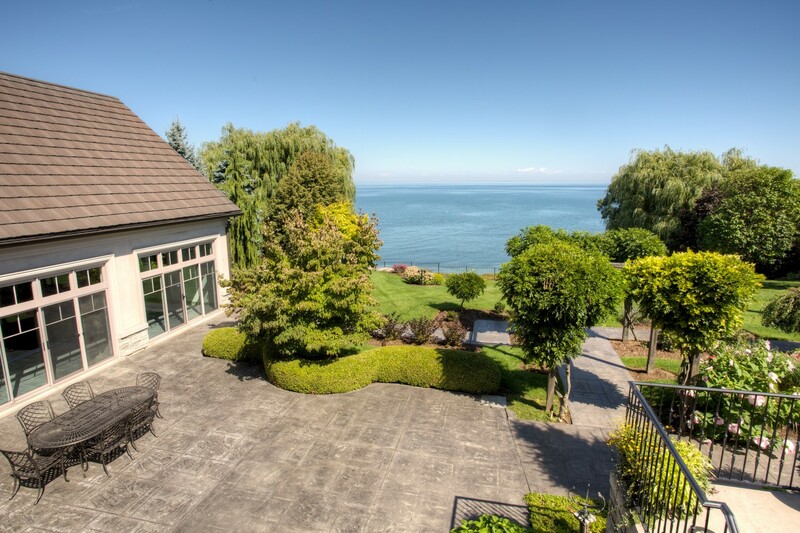 Craving a better view when you pull up to the house at the end of the day? 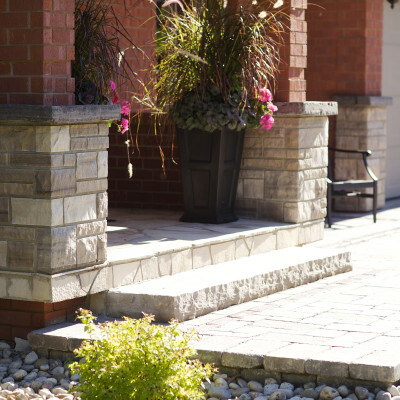 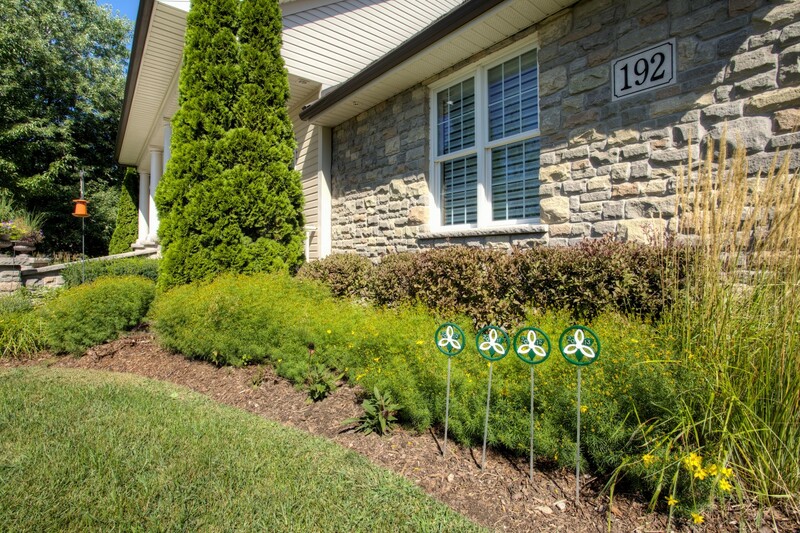 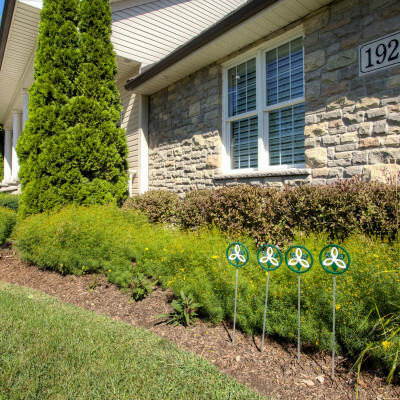 By updating selected elements of your front yard you can make a big overall improvement to the beauty of your home. 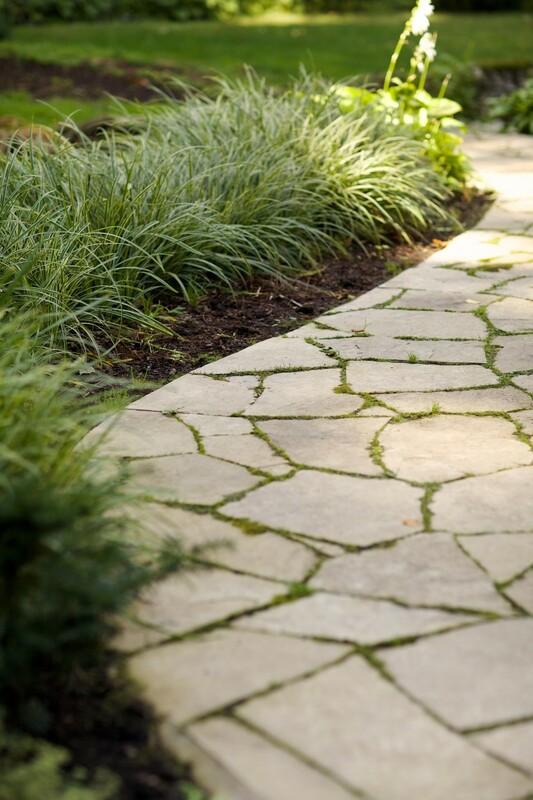 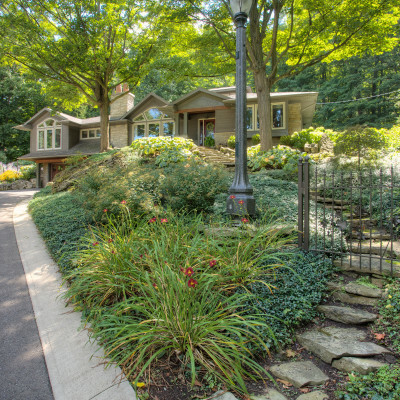 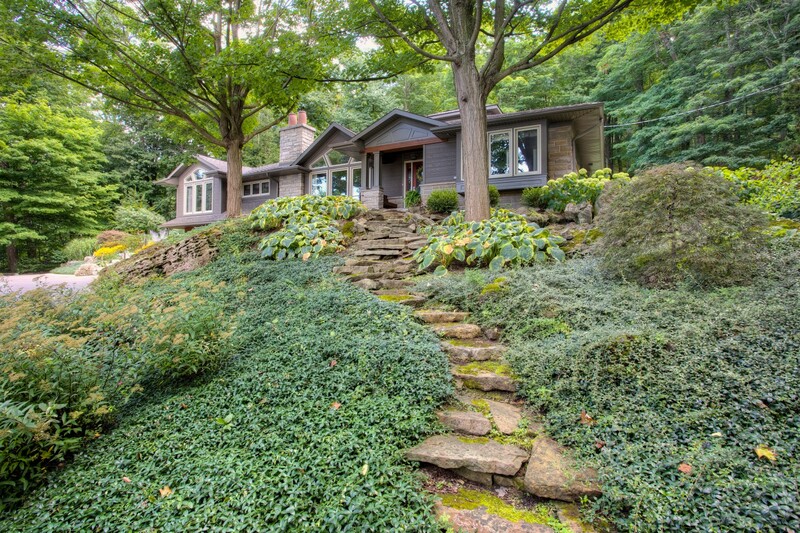 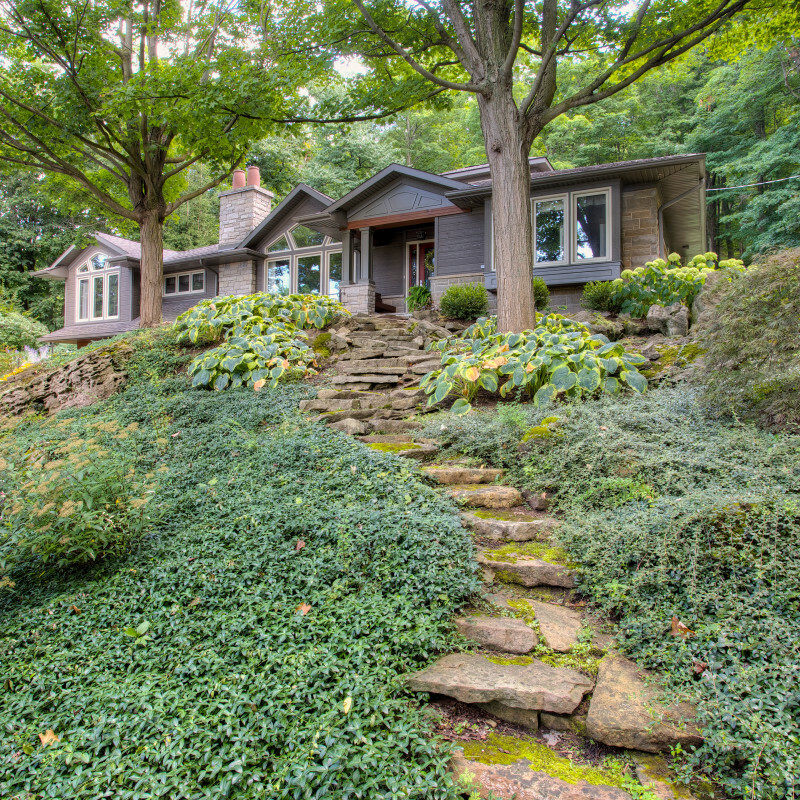 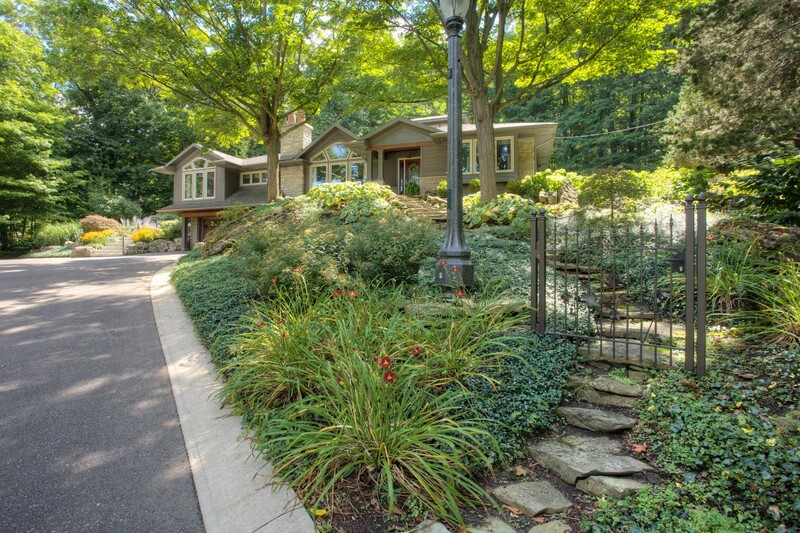 A rich flagstone walk and porch stone overlay, perhaps. 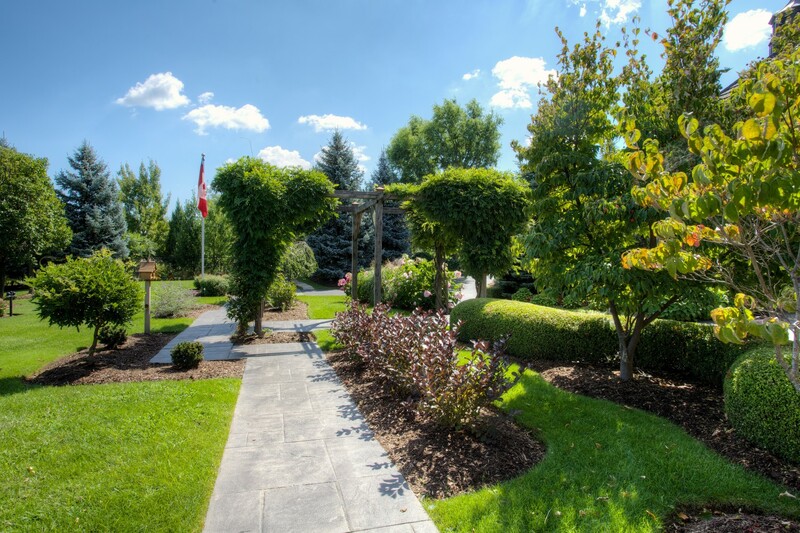 Or a whole new garden layout with trees and shrubs to complement the property shape and house architecture. 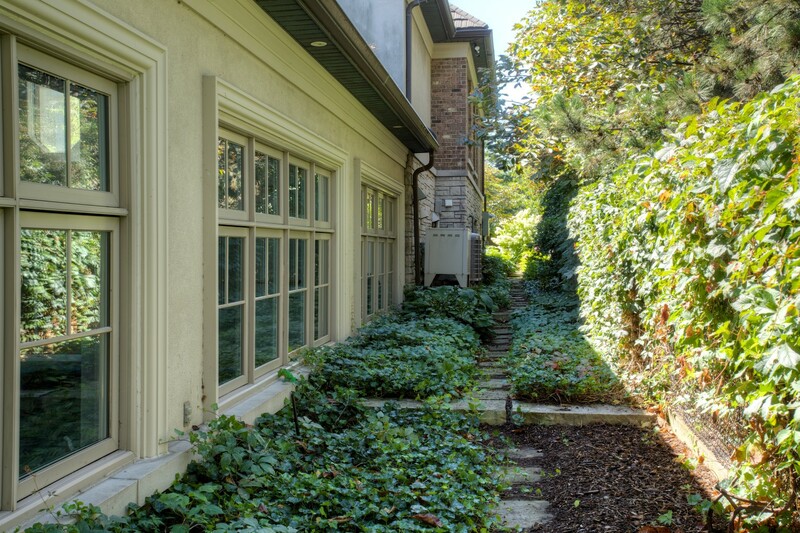 Don’t forget the jewel-like beauty that the right lighting system can reveal in your home for the hours after dark. 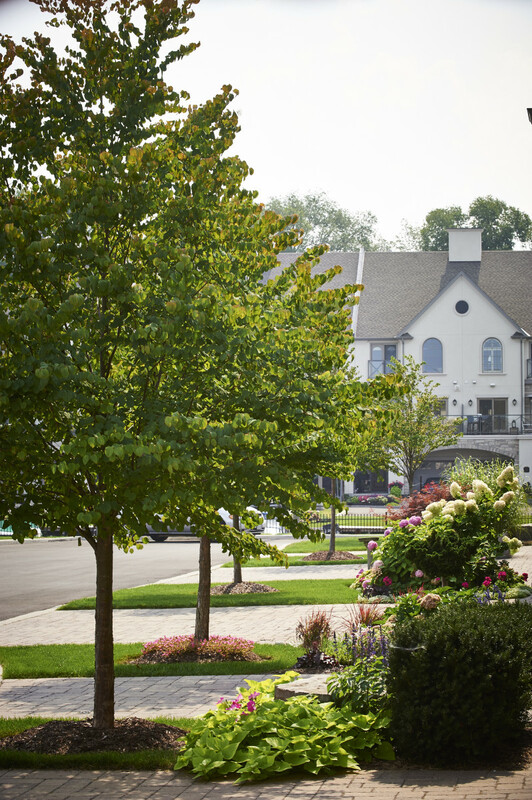 We’ll take care of it all. 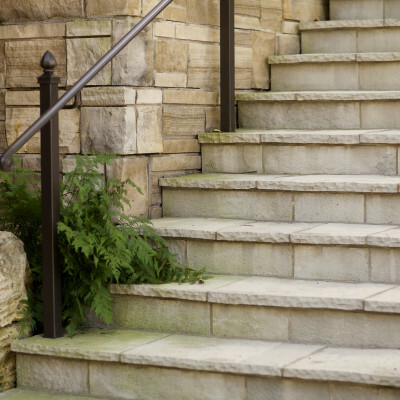 Call us for a no-obligation consultation. 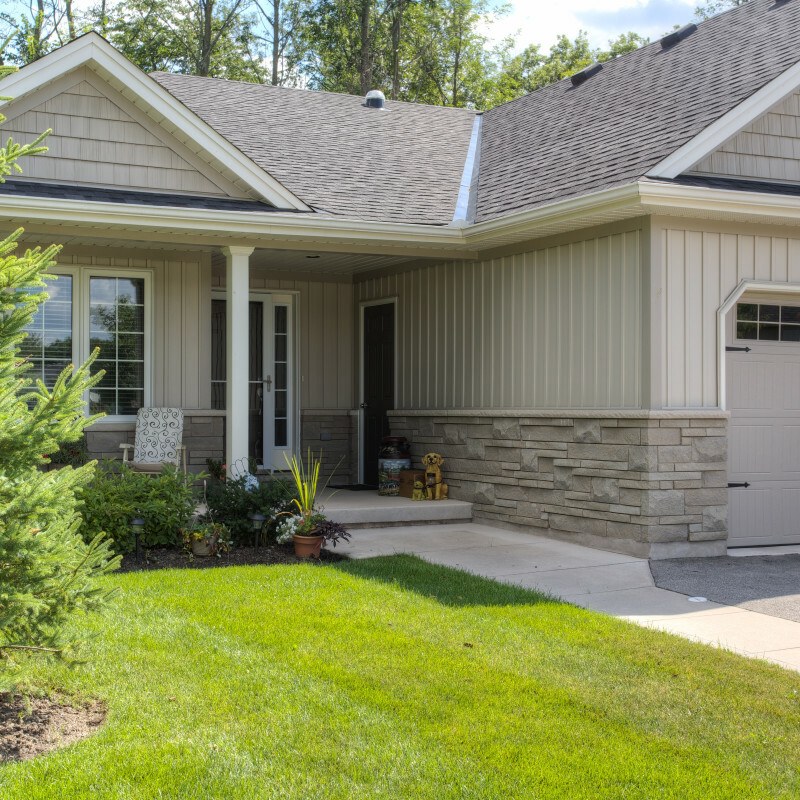 We’re happy to come out and look at your property front to discuss upgrades that can make a great enhancement to how you feel about your home – all year long! 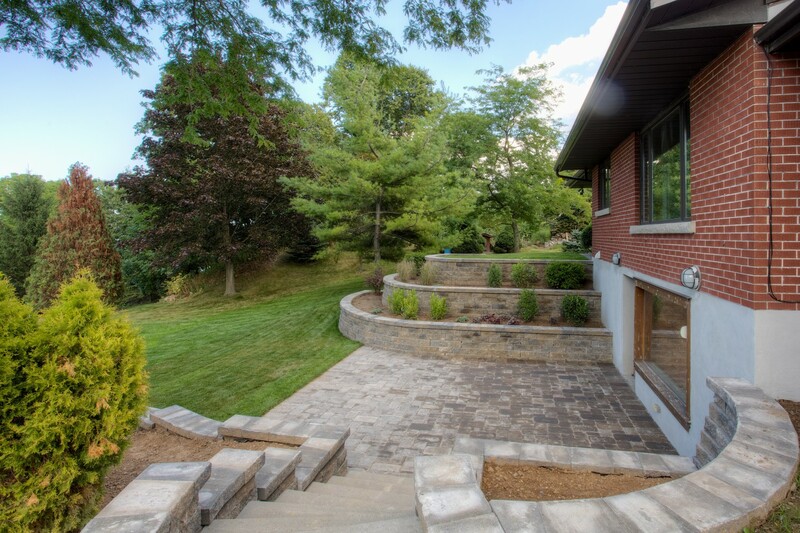 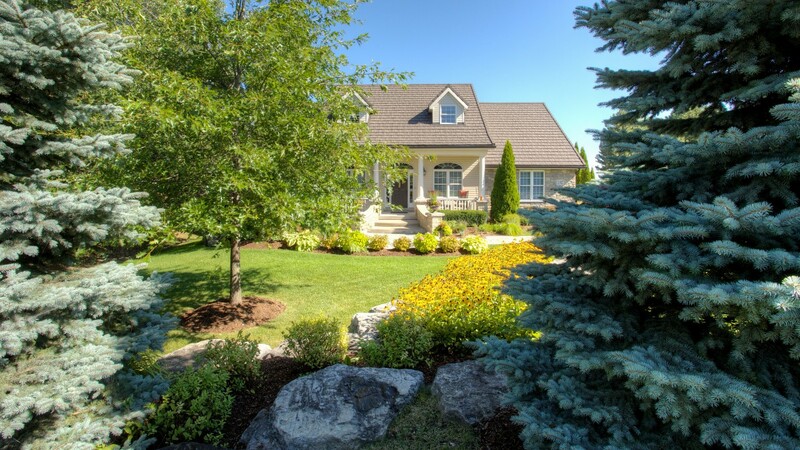 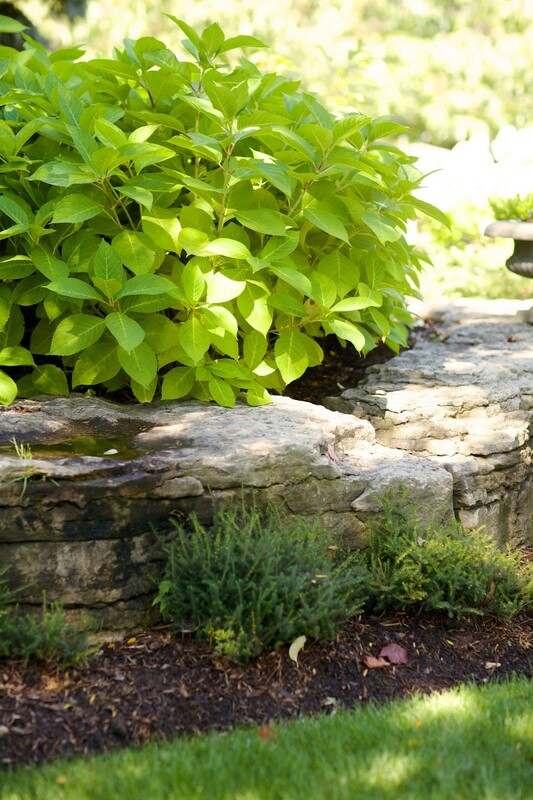 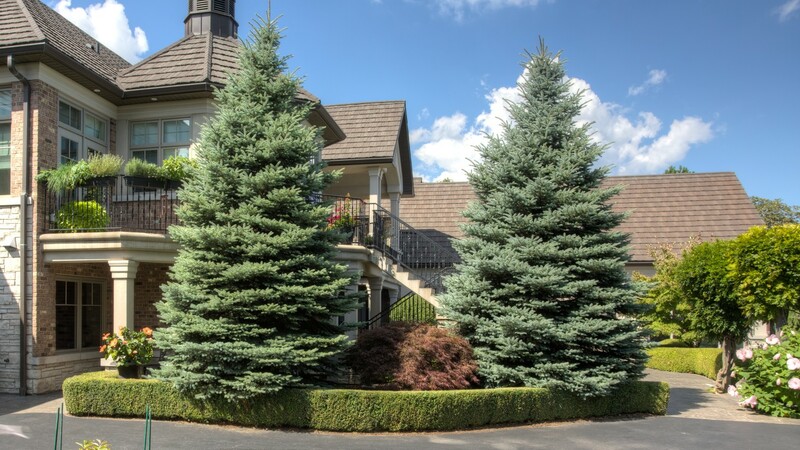 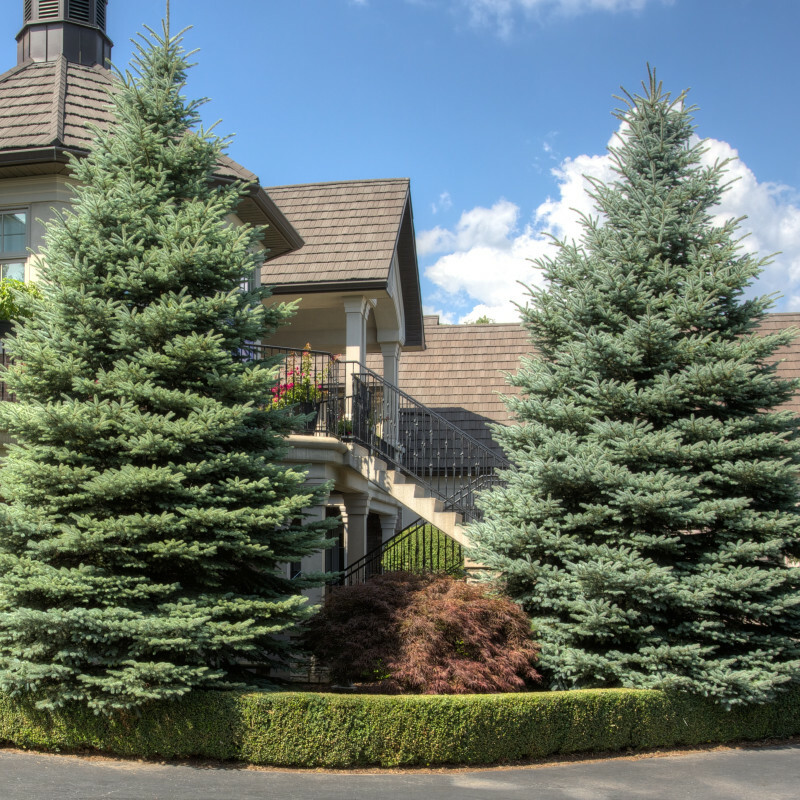 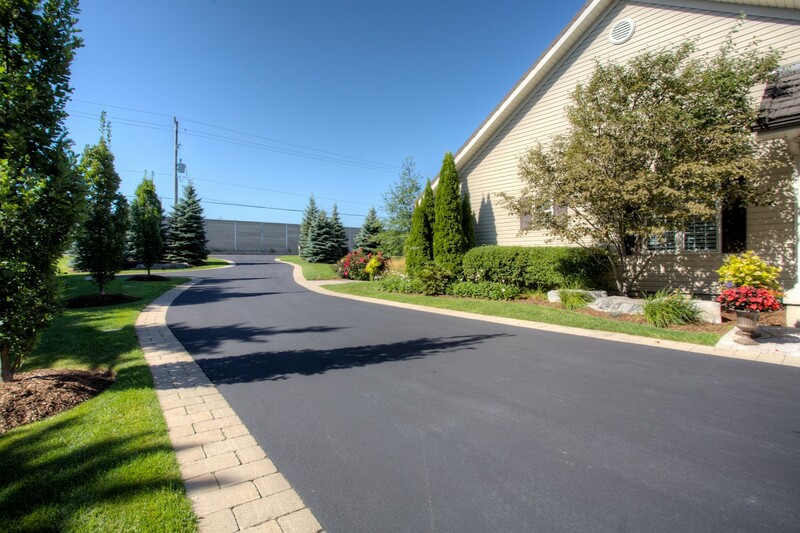 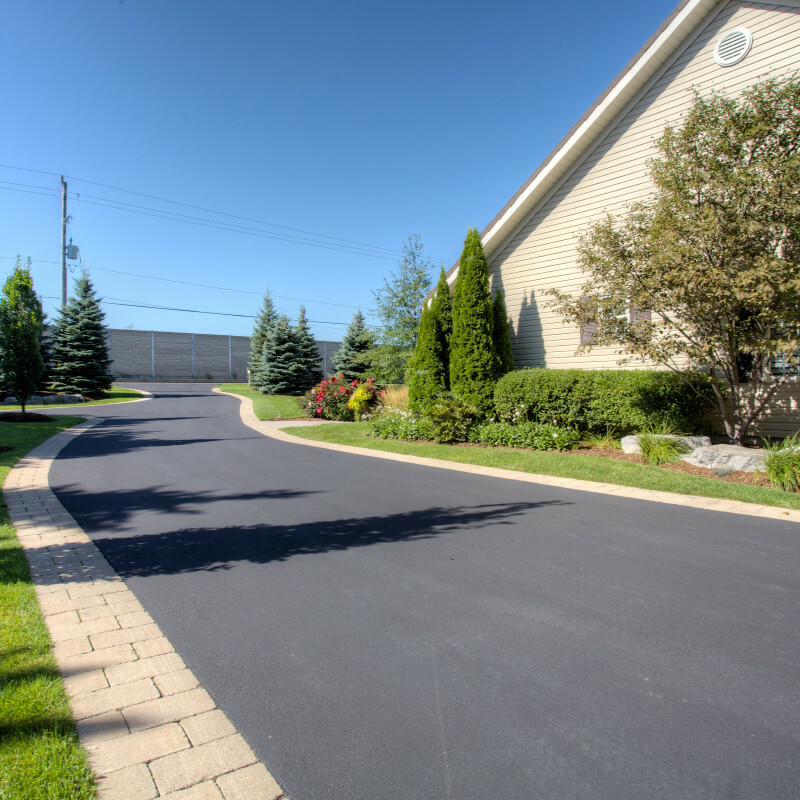 DeVries Landscaping and Maintenance Inc. has a long and exemplary history in the Grimsby and surrounding areas. 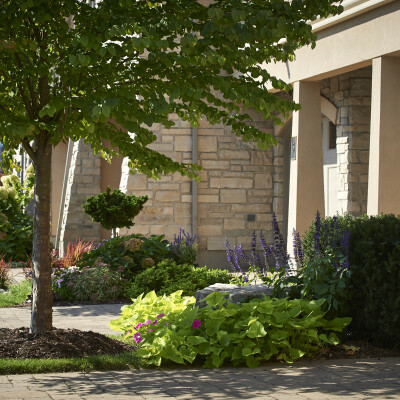 We’ve been beautifying homes and businesses here for over 50 years. 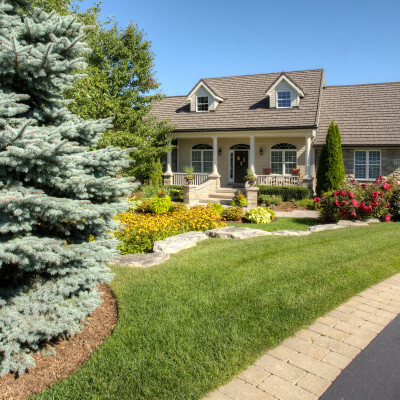 You’ll always know you’re appreciated with DeVries, from your phone calls promptly returned to every landscaping detail taken care of, no matter how large or small the project. 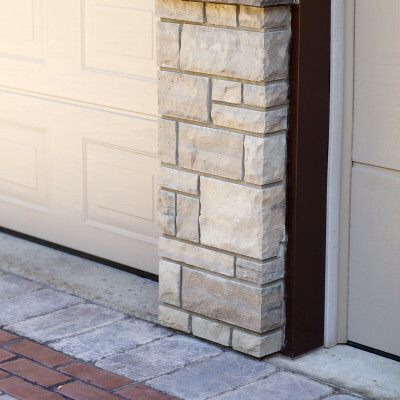 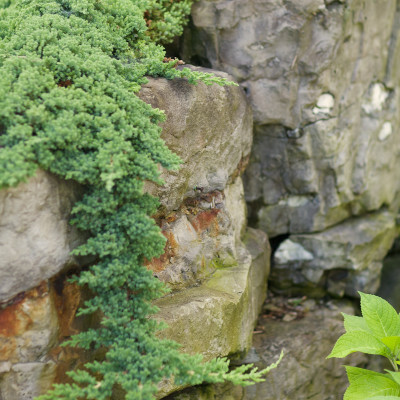 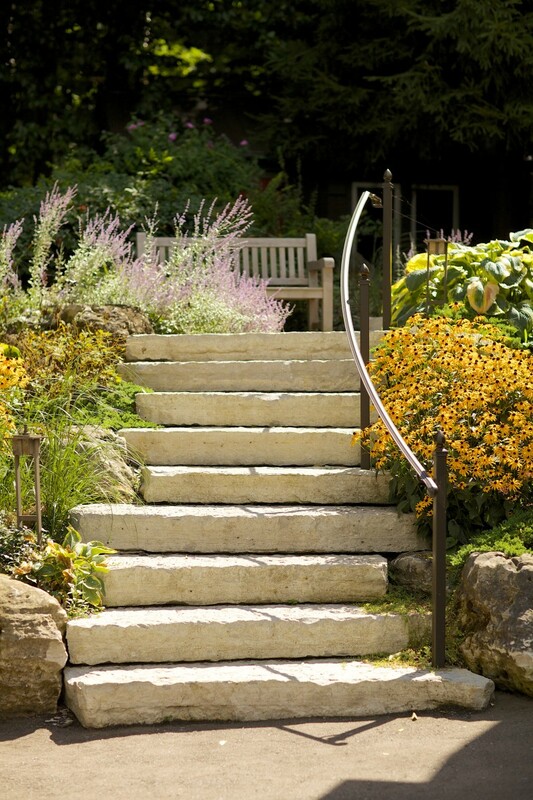 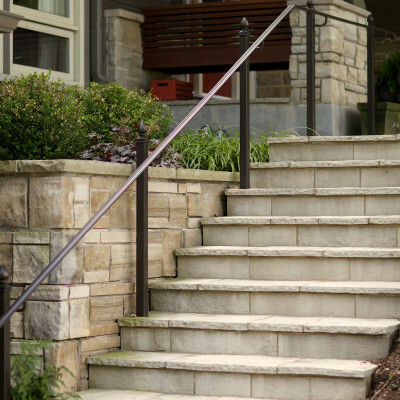 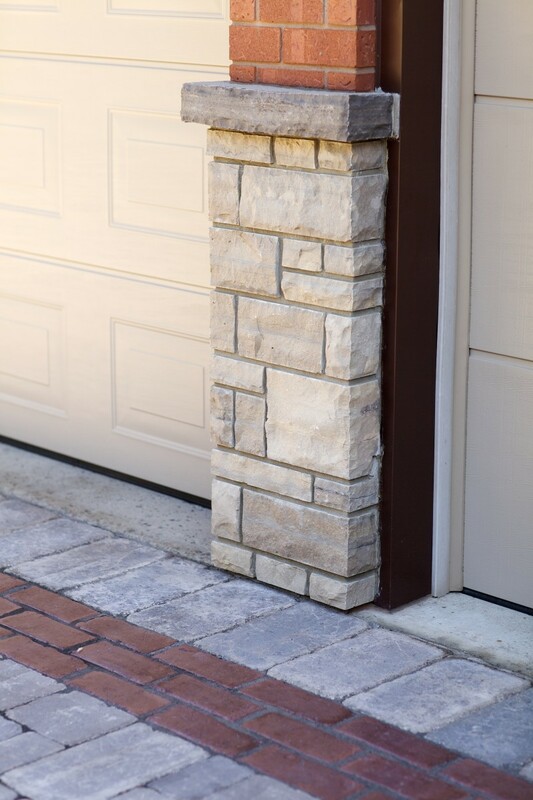 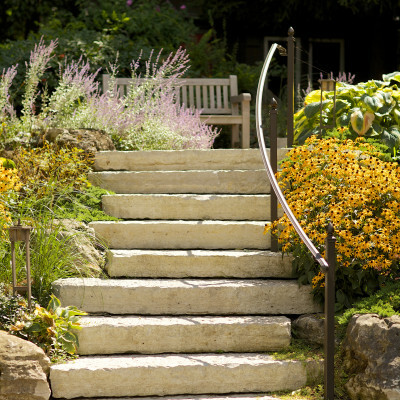 All of our stone work carries a three-year warranty. 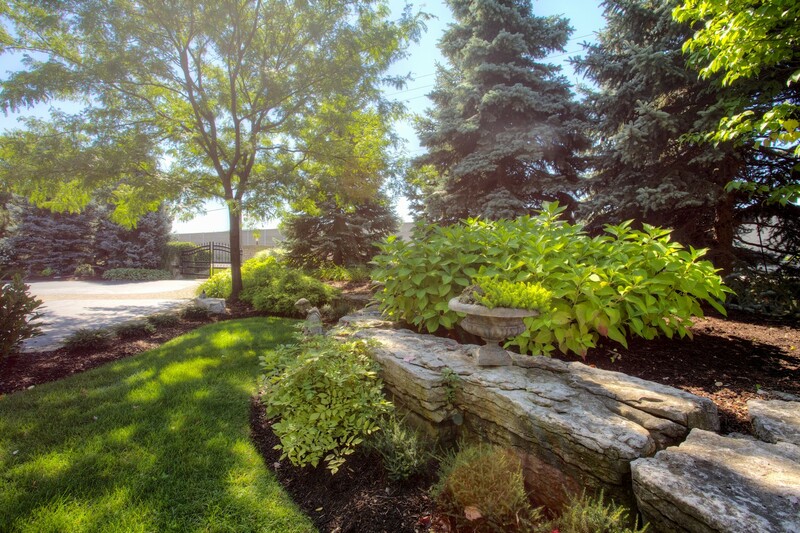 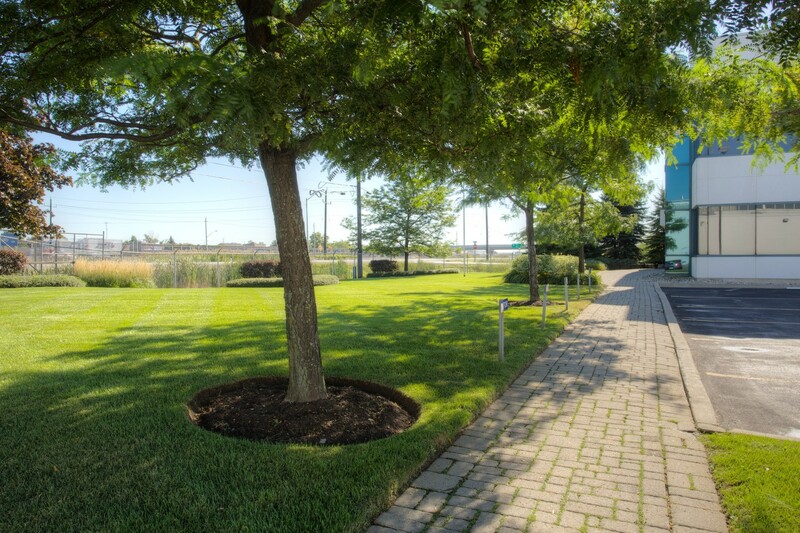 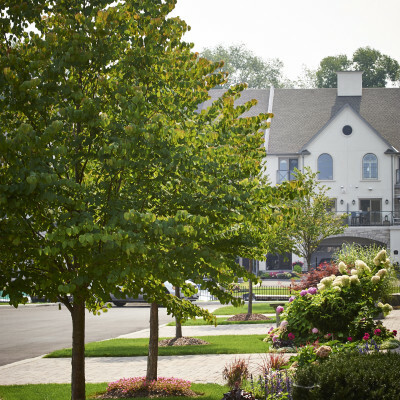 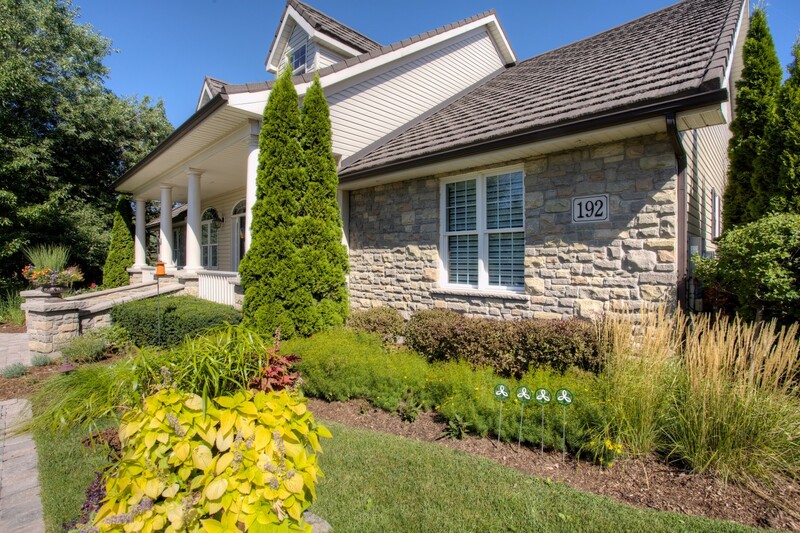 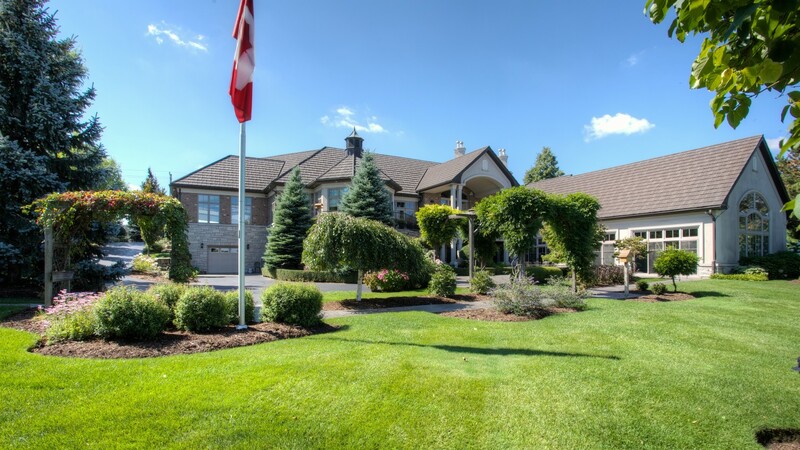 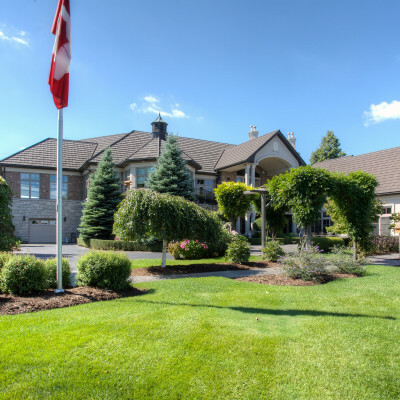 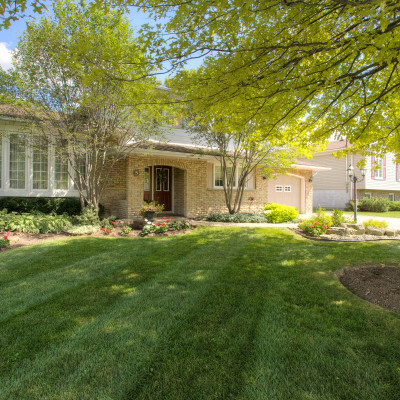 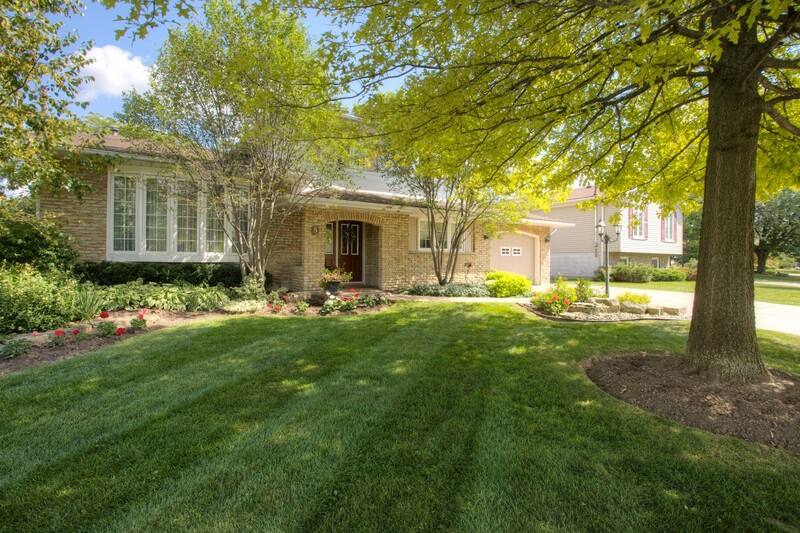 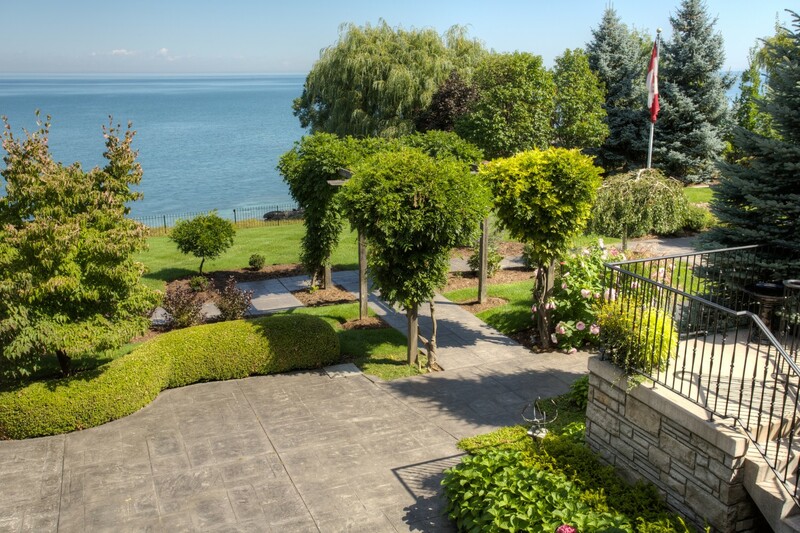 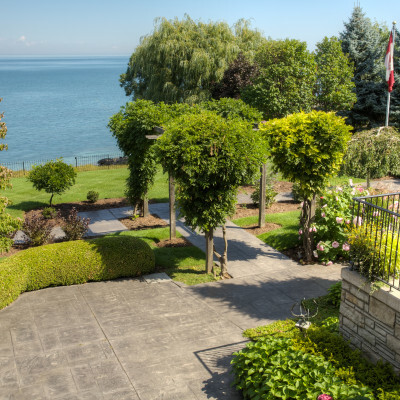 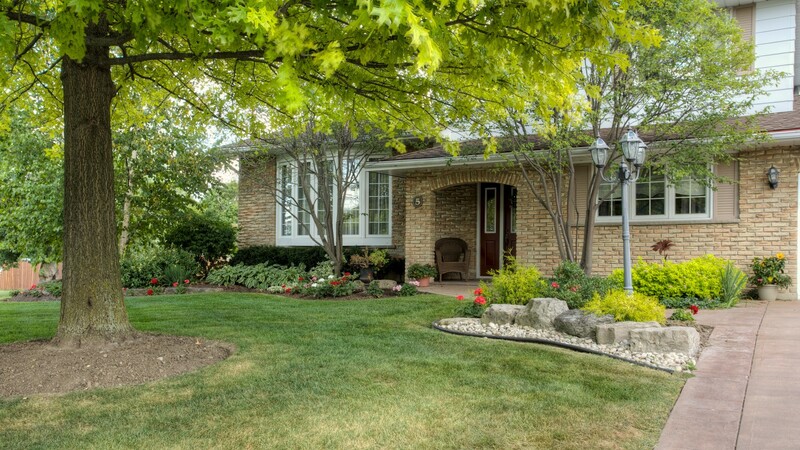 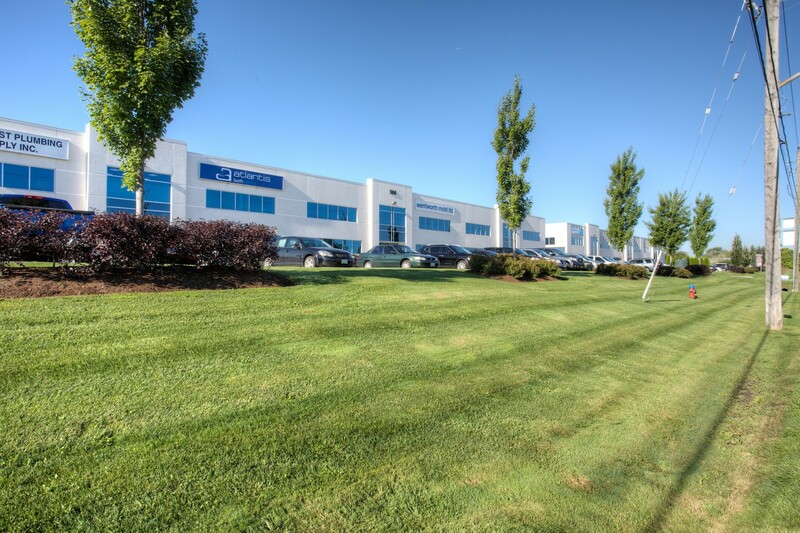 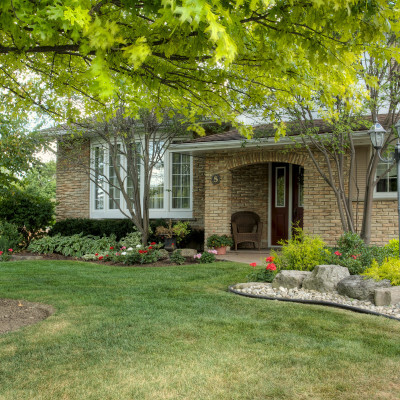 DeVries Landscaping and Maintenance Inc. was founded by Arie DeVries in 1958 in the Hamilton area. 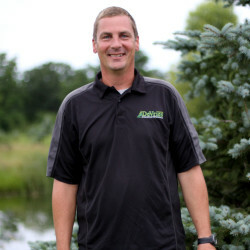 With the help of his sons during the busy season, Arie took care of keeping homes in the region tidy and well-kept for many years. 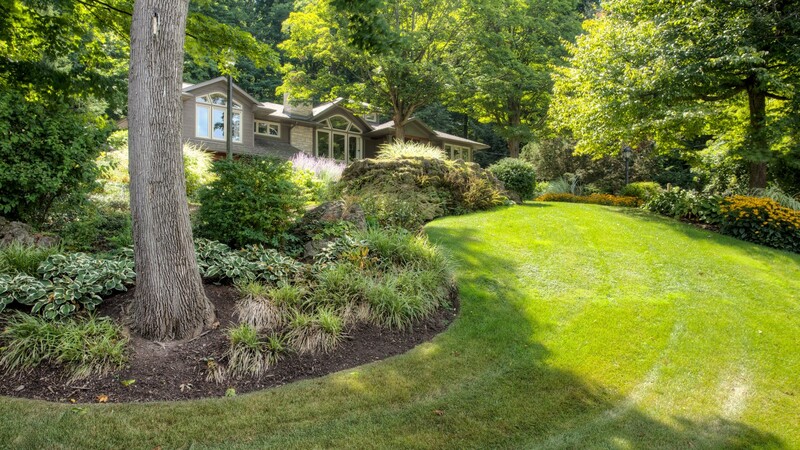 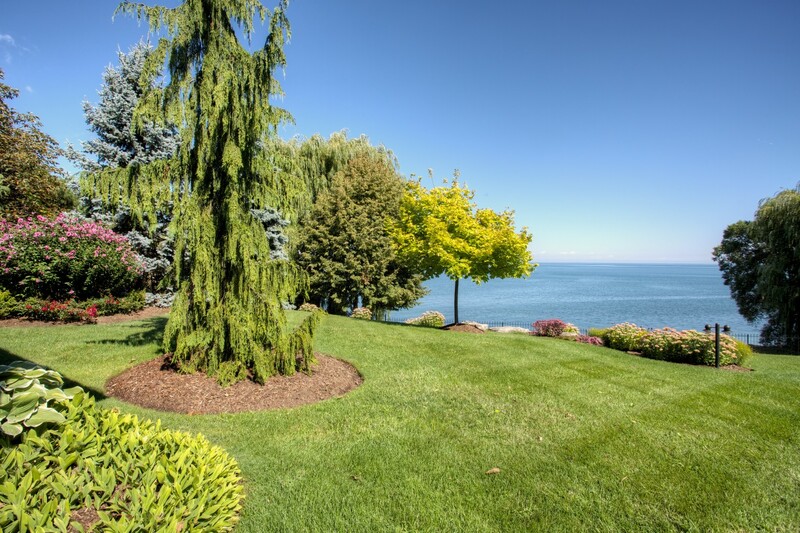 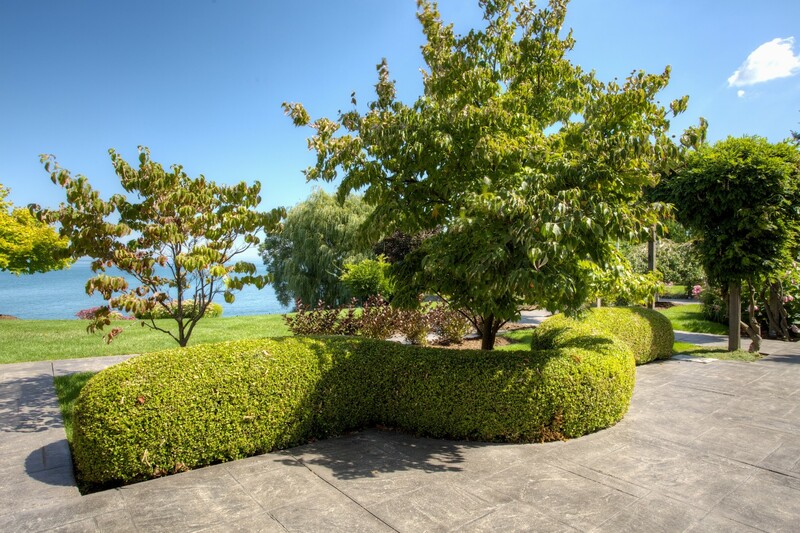 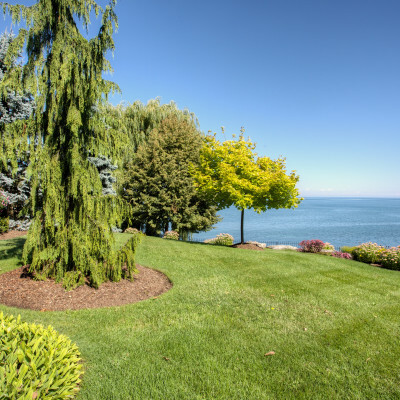 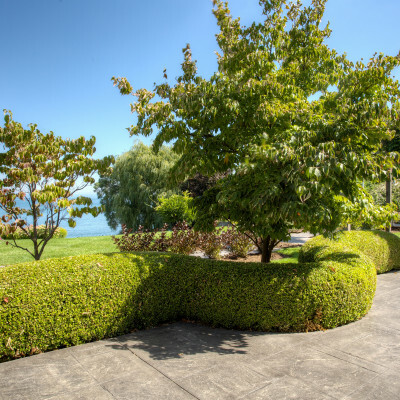 The landscaping business was different back then and landscapers' services were almost entirely focused on maintaining grounds spring to fall, as DeVries did, and they were only used by the most affluent. 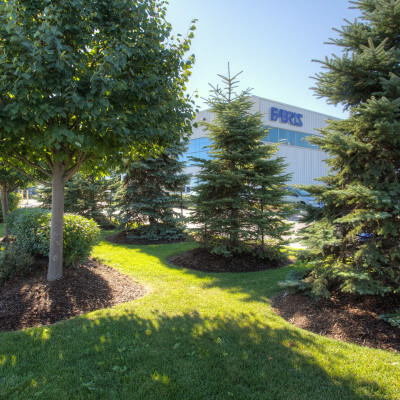 Company operations gradually shifted into the Niagara region when Arie’s son Harry took over DeVries in the early 70s. 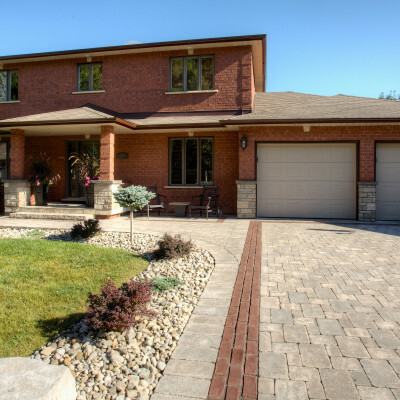 With the help of his sons, too, Harry continued the maintenance tradition and built on a solid reputation of reliably high-calibre service. 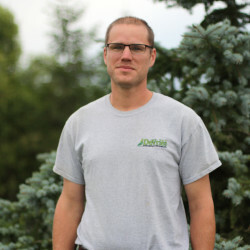 In 1993, Harry’s son Allard began to work for the business full time. 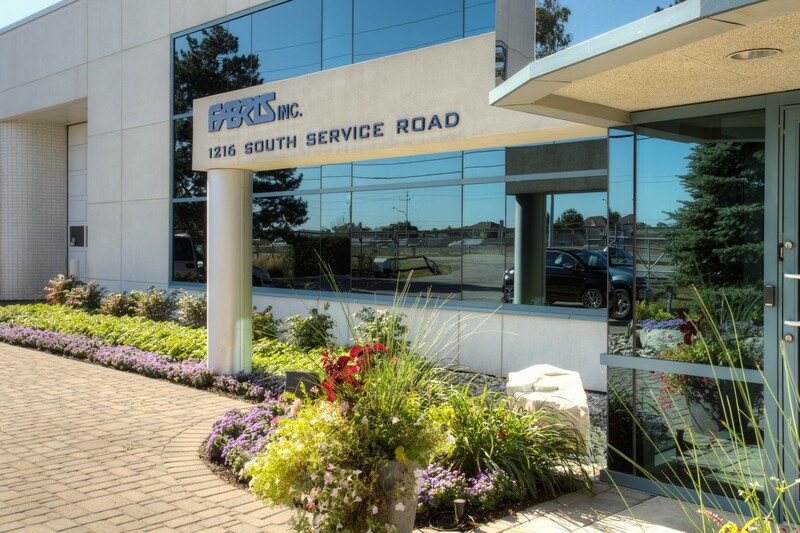 During these years the industry was undergoing a change in scope and sophistication and DeVries’ similarly expanded their own service capabilities. 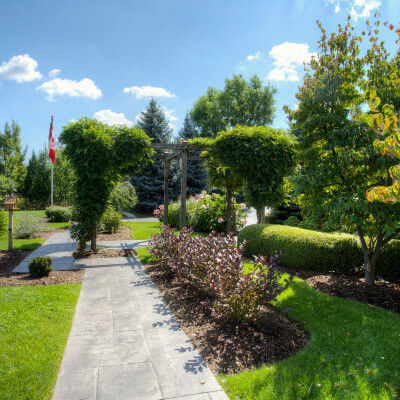 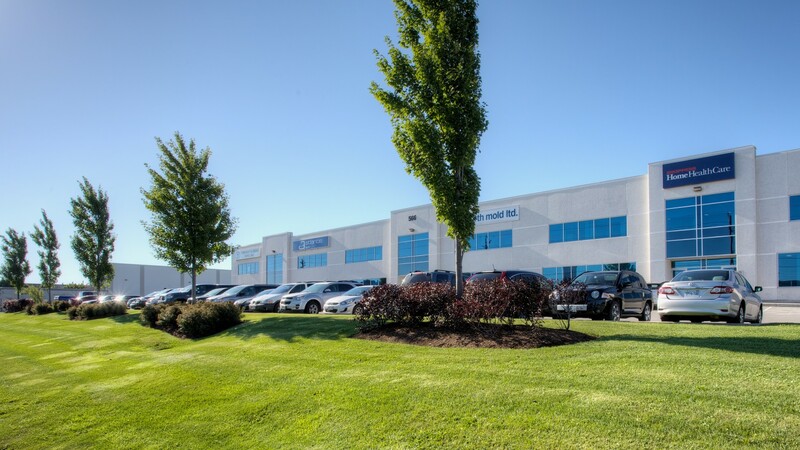 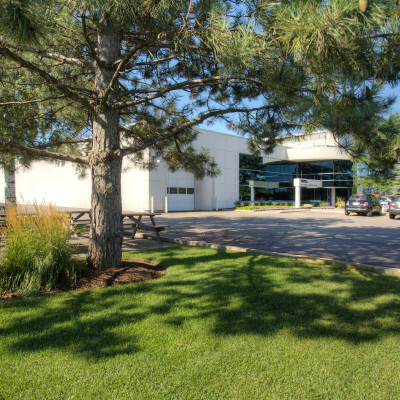 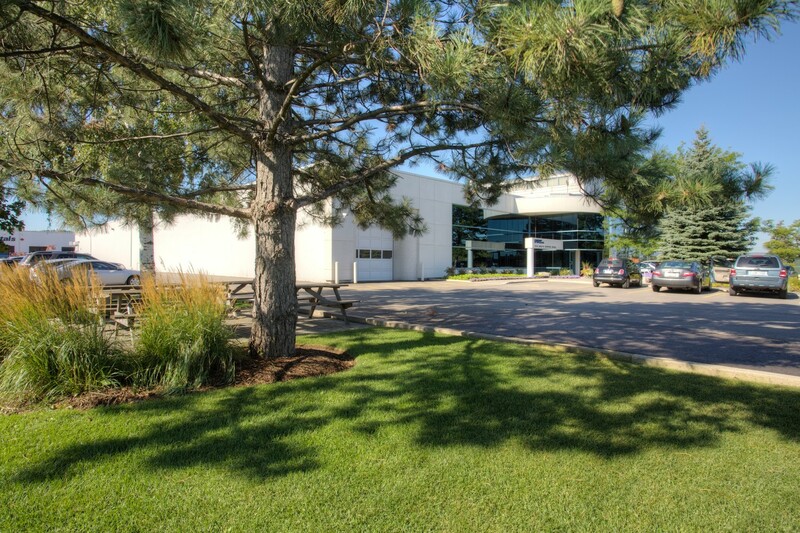 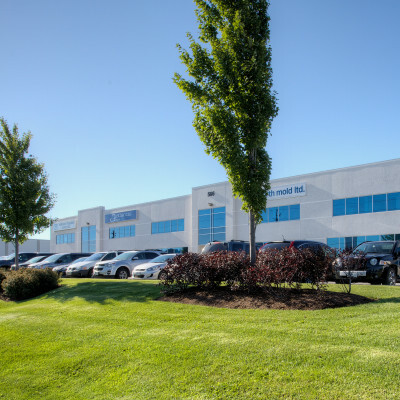 Operations extended to year round with a snow removal service; the grounds maintenance department grew; and a full time construction crew was put in place. 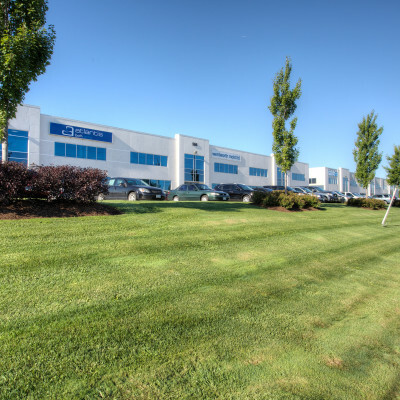 In 2004, Allard officially took over the business from his father Harry. 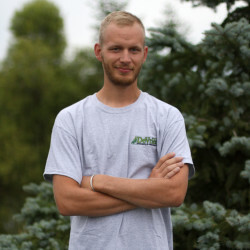 Harry is now semi-retired and happily keeping himself busy with a growing nursery business. 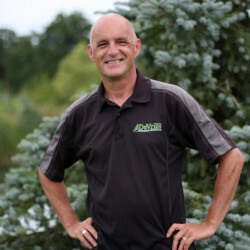 Arie himself would have been very pleased with the direction his company has taken, as well as the foundational values it's held firm to all these years. 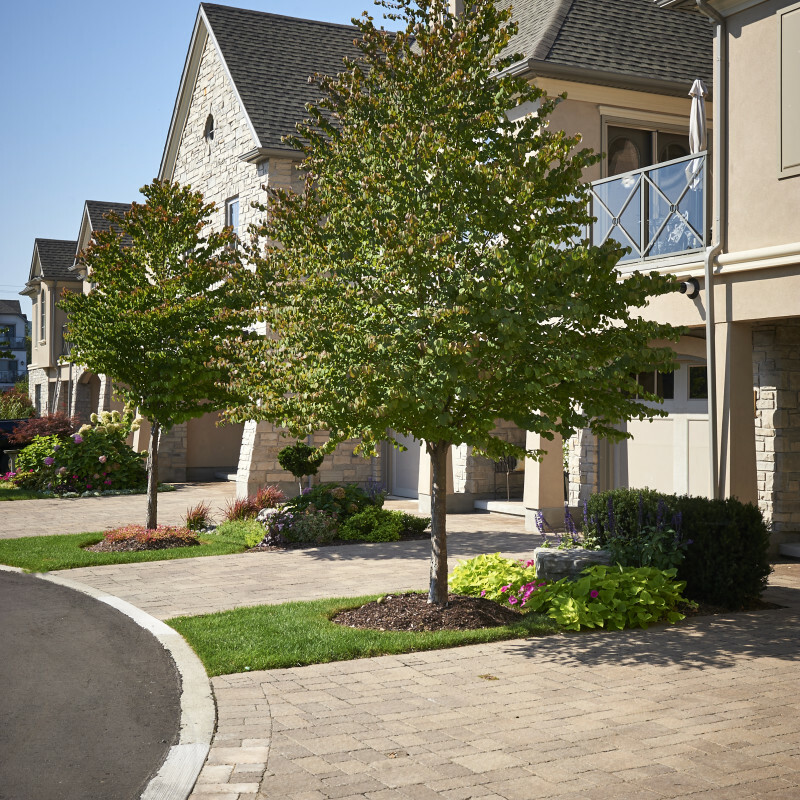 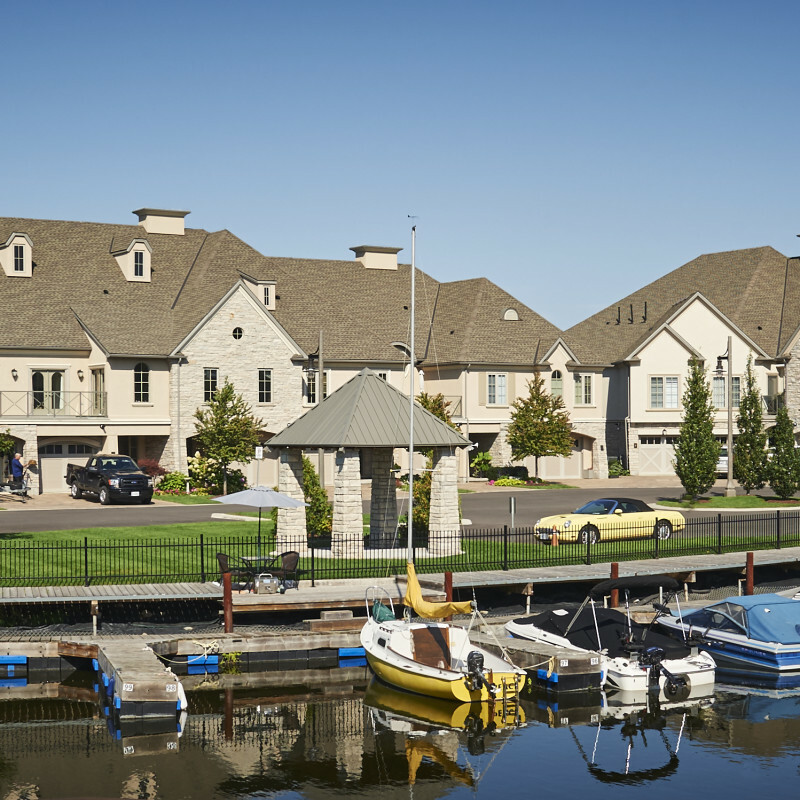 Our service area includes Grimsby, Beamsville, Vineland, Jordan, St Catherines, Fenwick, Fonthill, Hamilton, Stoney Creek, Smithville, and surroundings.